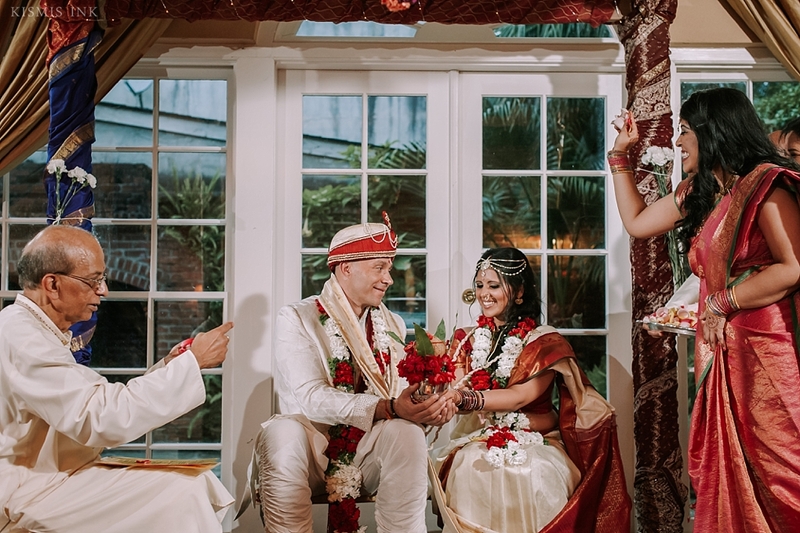 When I think of Stevon and Smitha, memories of warm beignets, vibrant colors, and a whole lot of laughter and love come to mind. 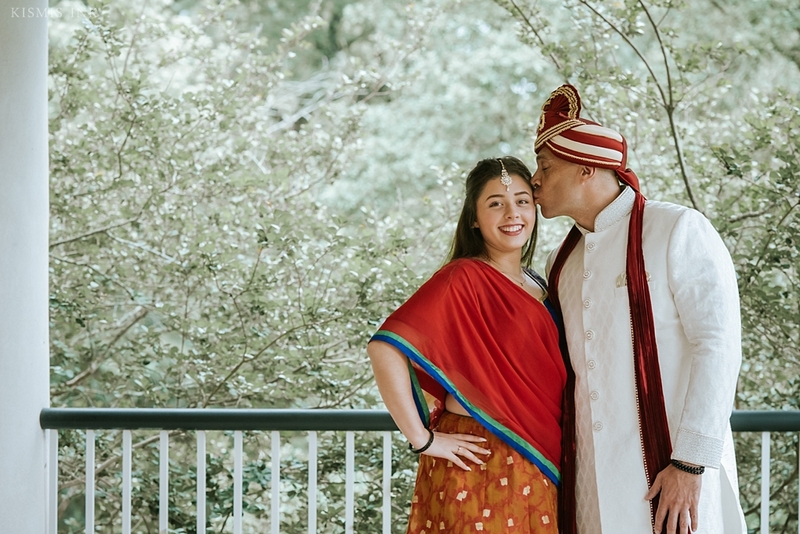 To say that we had a great time documenting their love during their engagement session is an understatement. 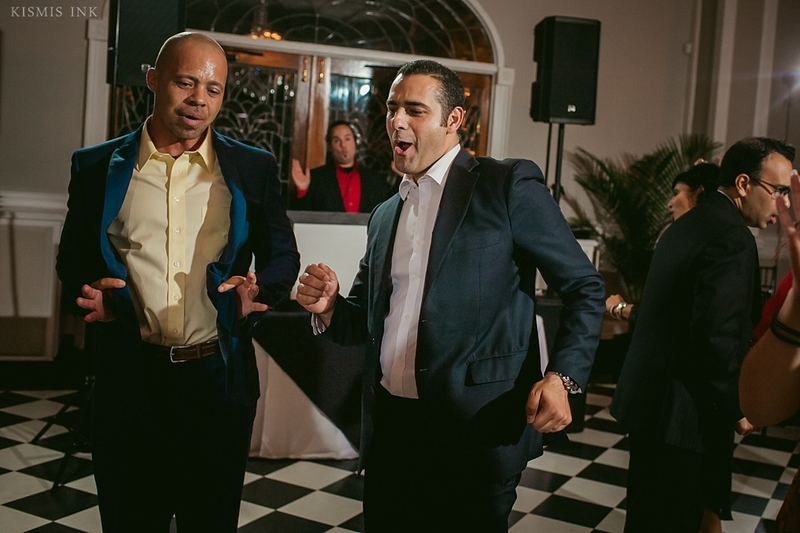 Khaled and I fell in love with the lively streets of New Orleans. 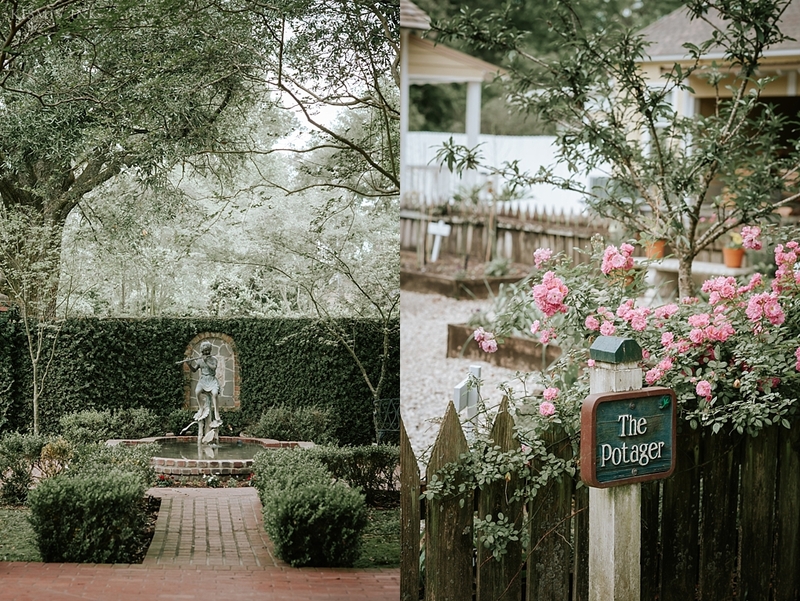 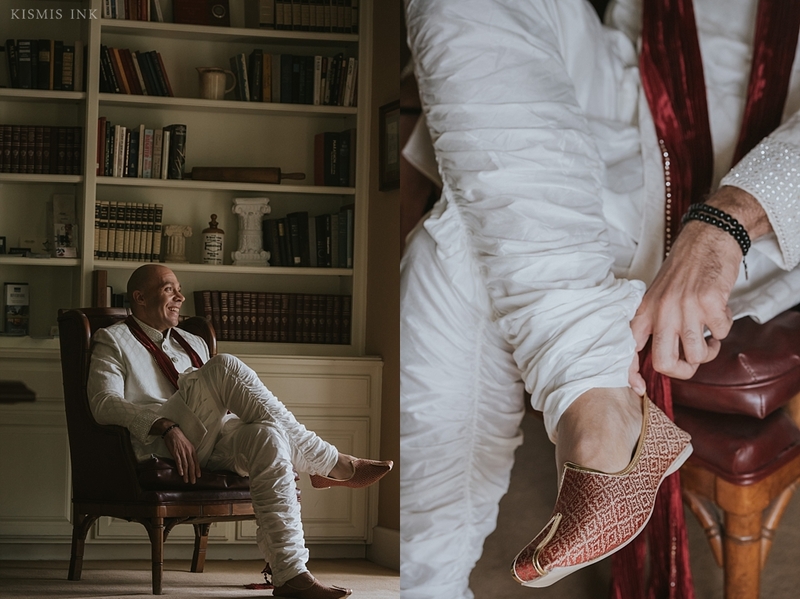 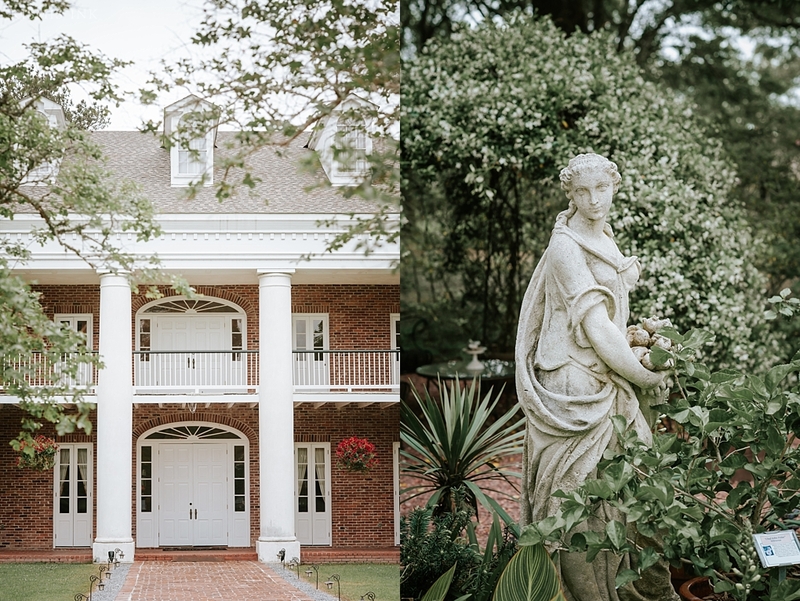 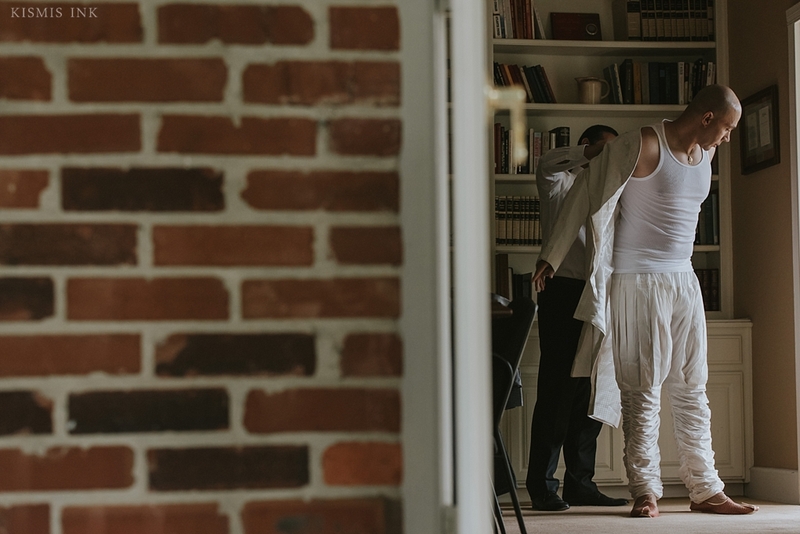 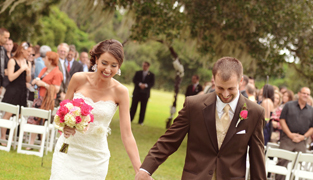 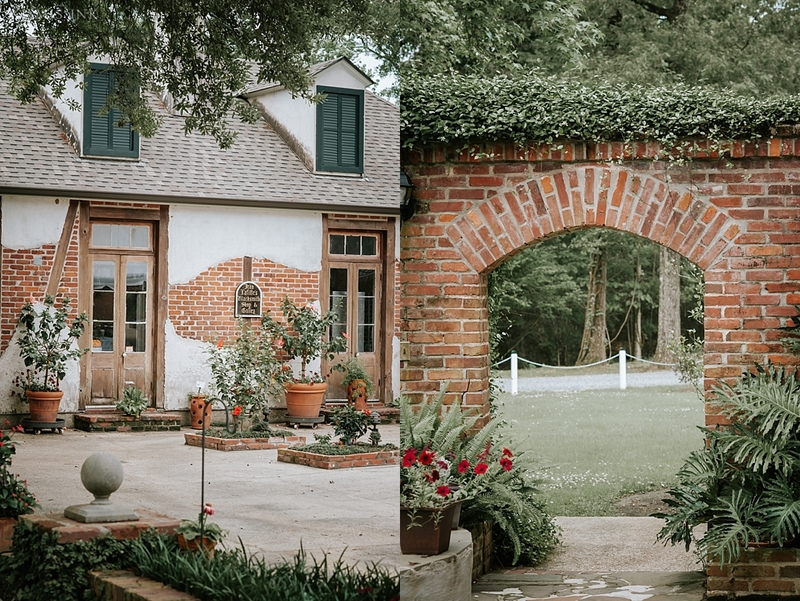 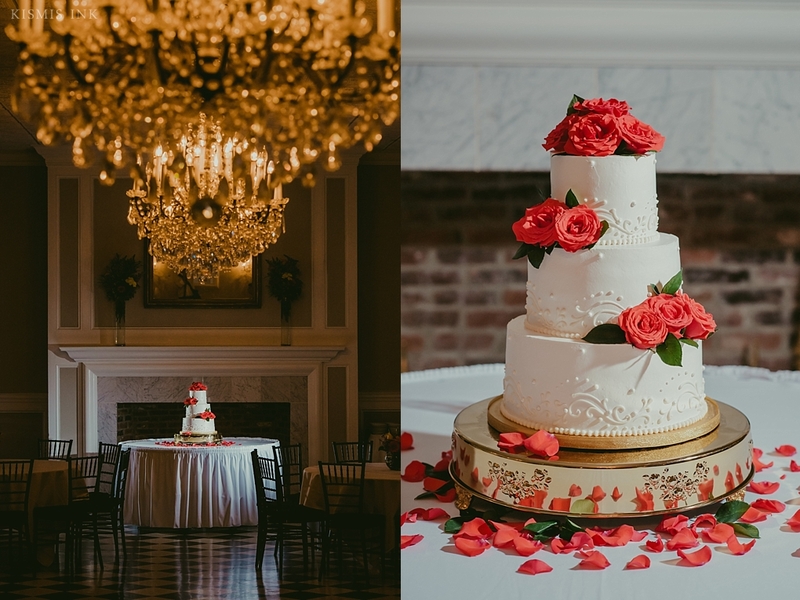 Their wedding venue, the White Oak Plantation, in Baton Rouge, is both picturesque and dear to the family’s heart. 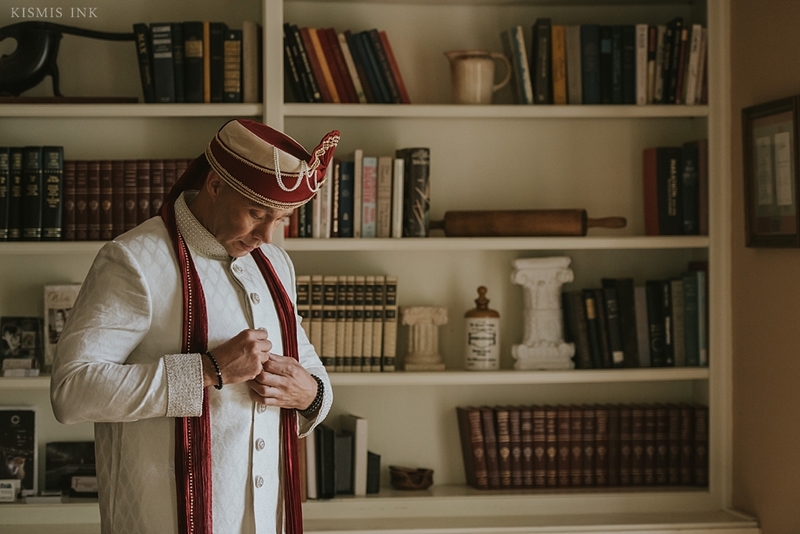 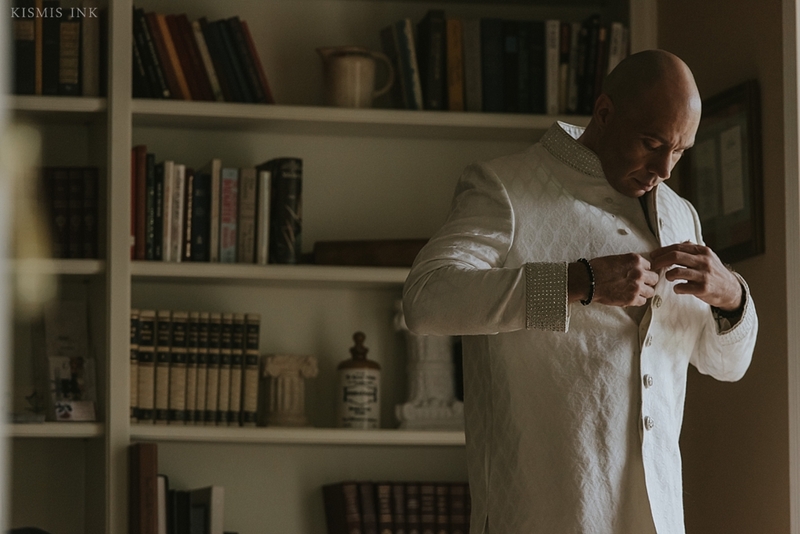 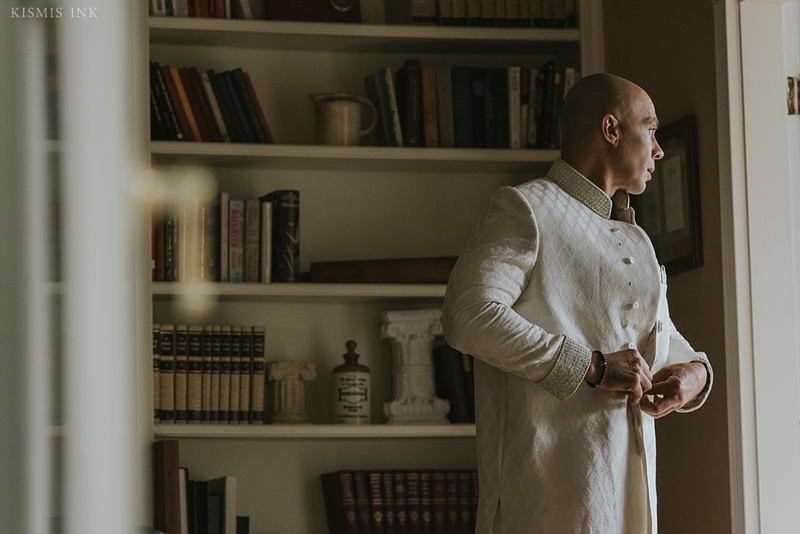 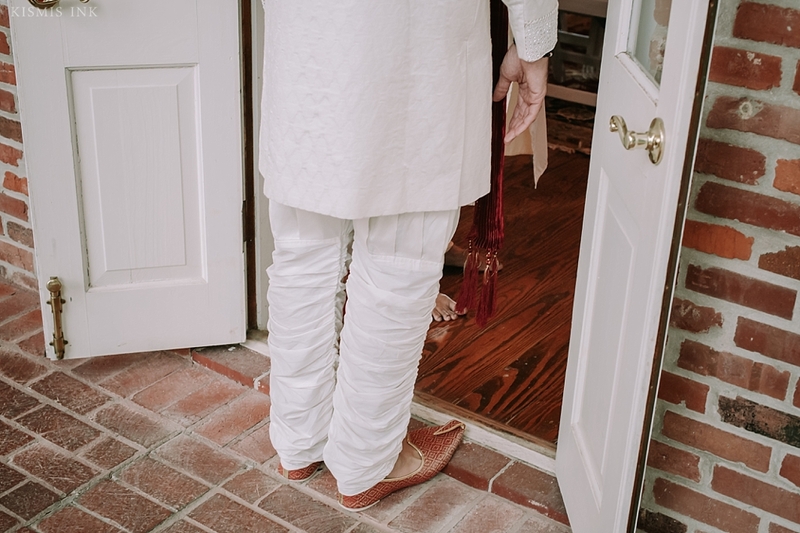 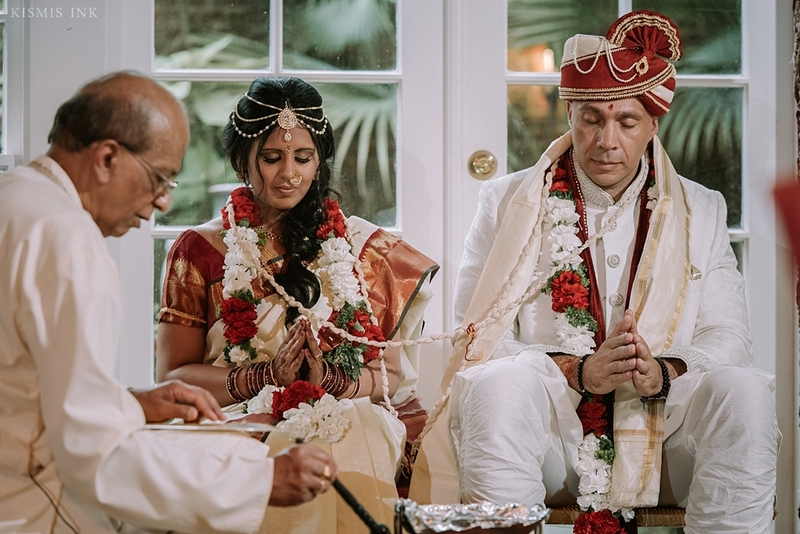 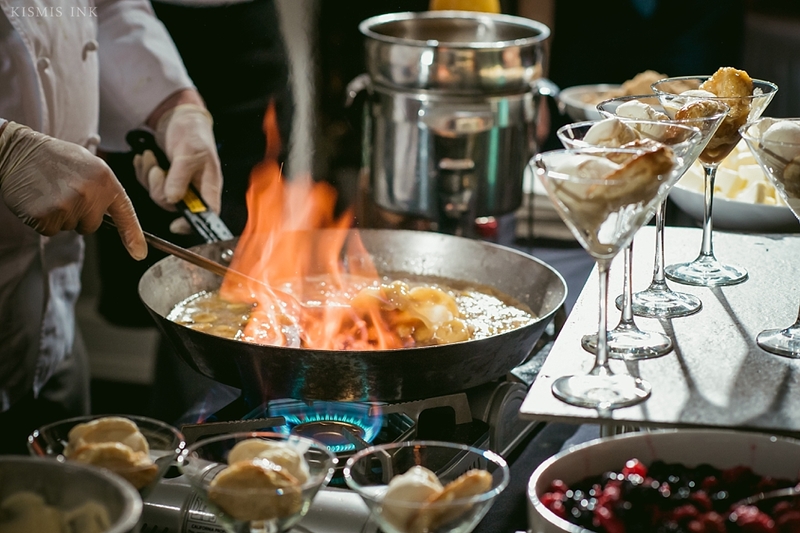 Chef John Folse is a longtime friend of Smitha’s dad, which inspired their decision to choose the plantation for their wedding celebrations. 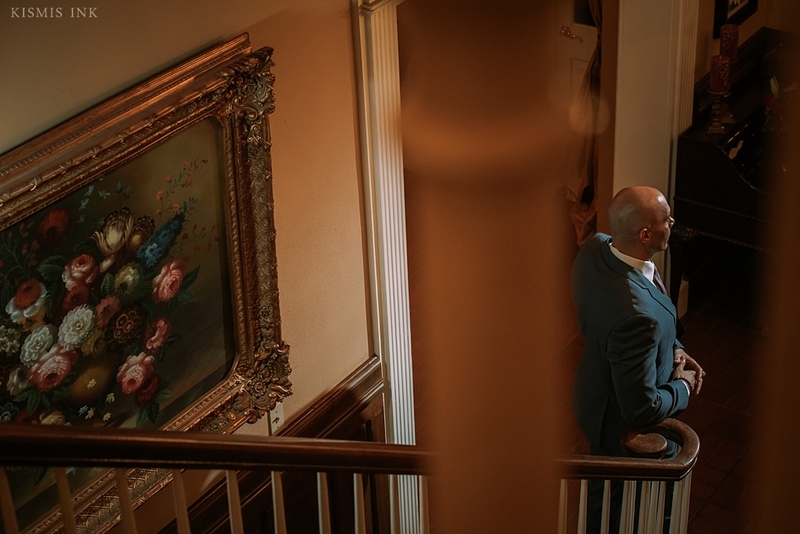 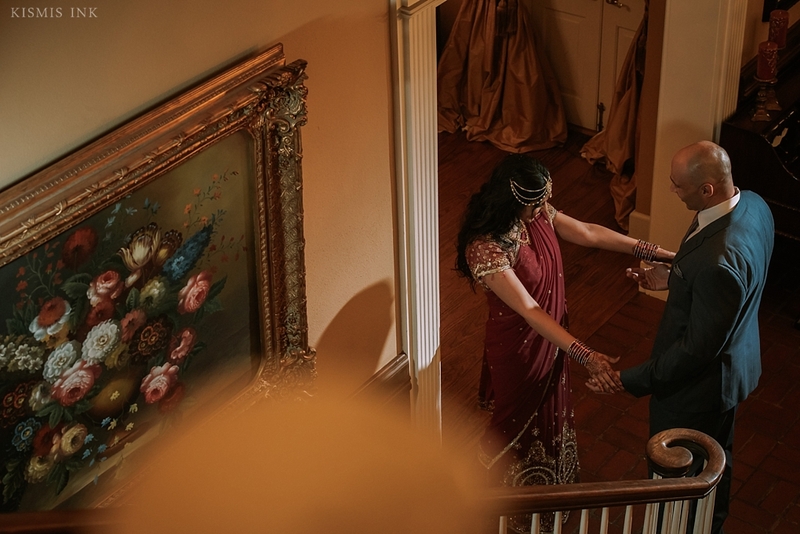 With its grand staircase, three-tiered chandelier and elegant foyer, I was transported into another time within seconds of stepping foot on the beautiful grounds. 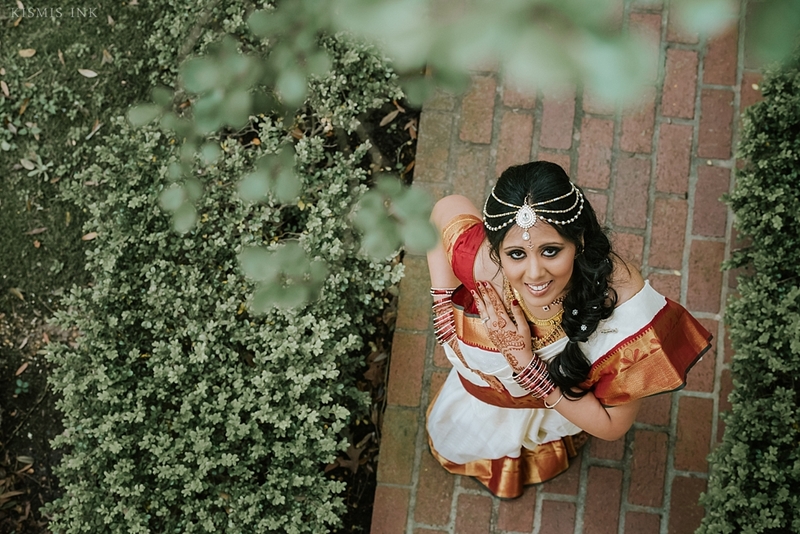 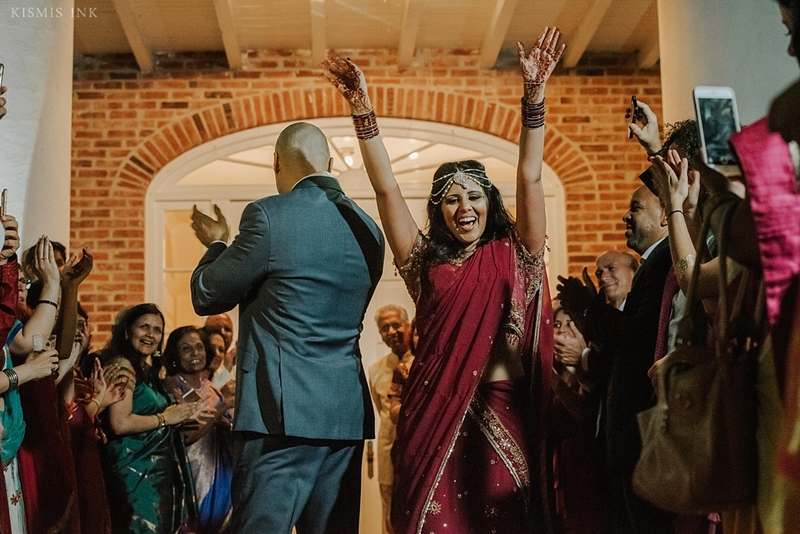 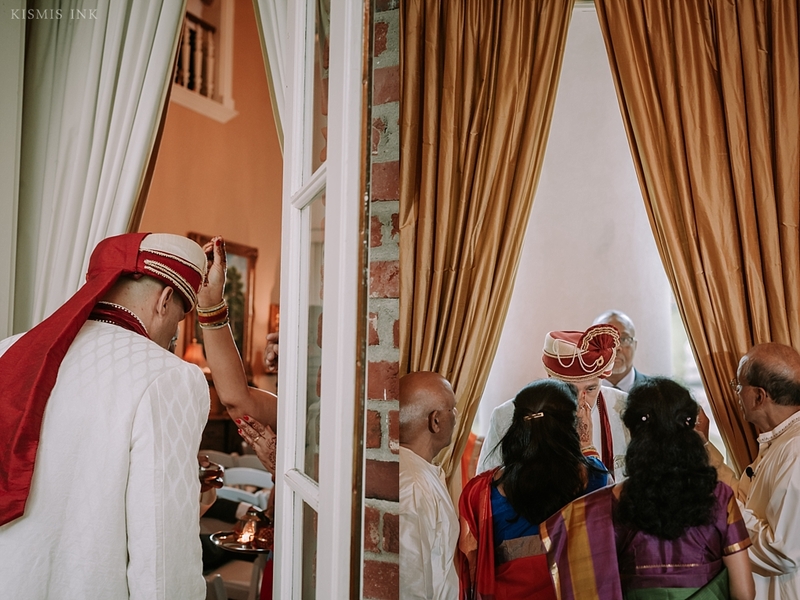 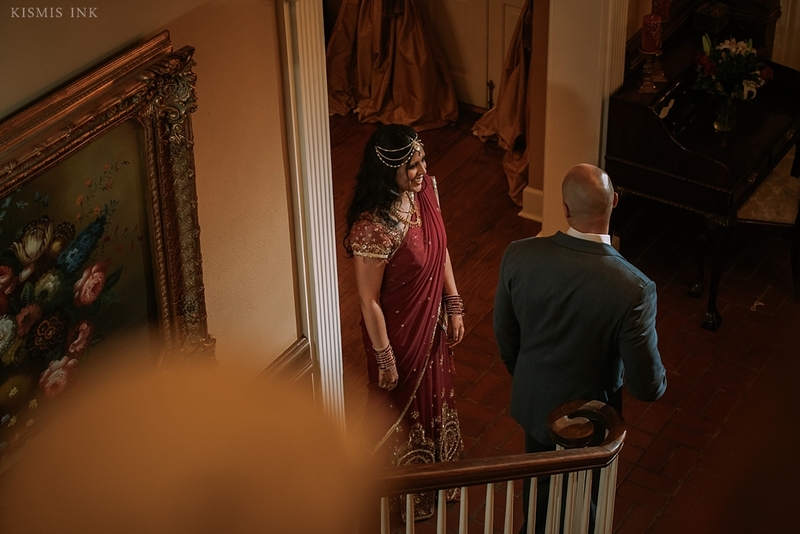 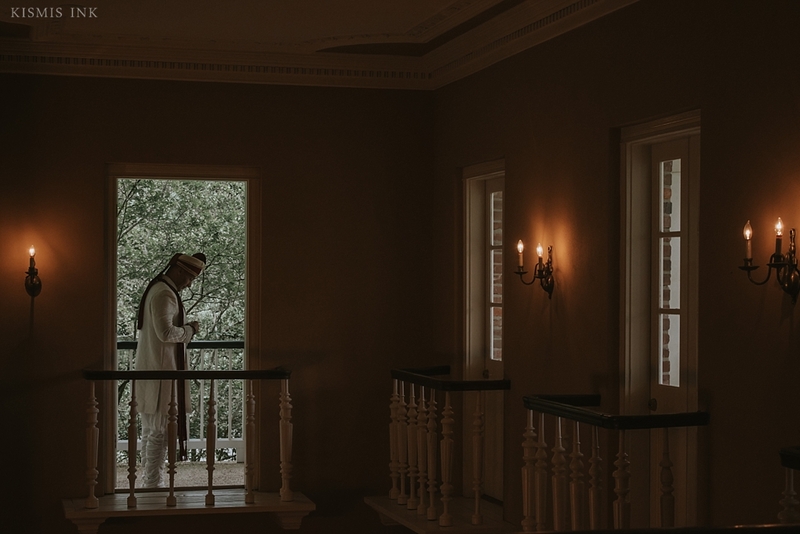 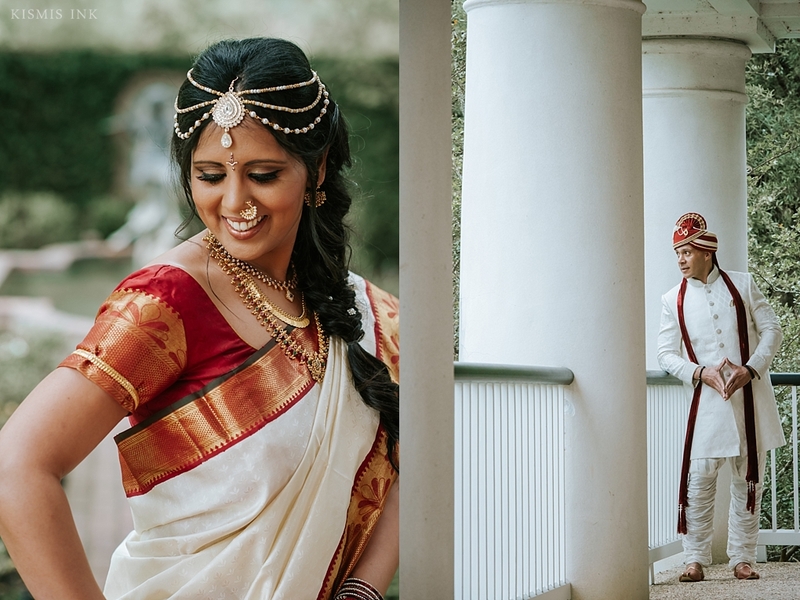 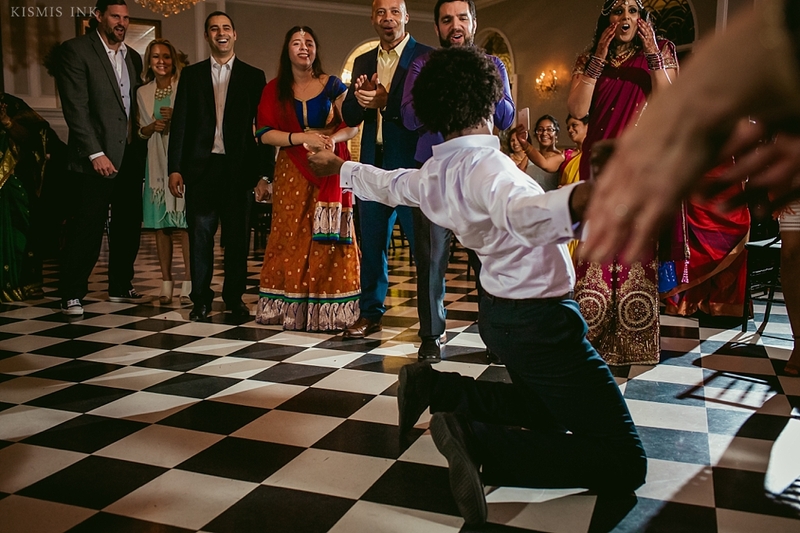 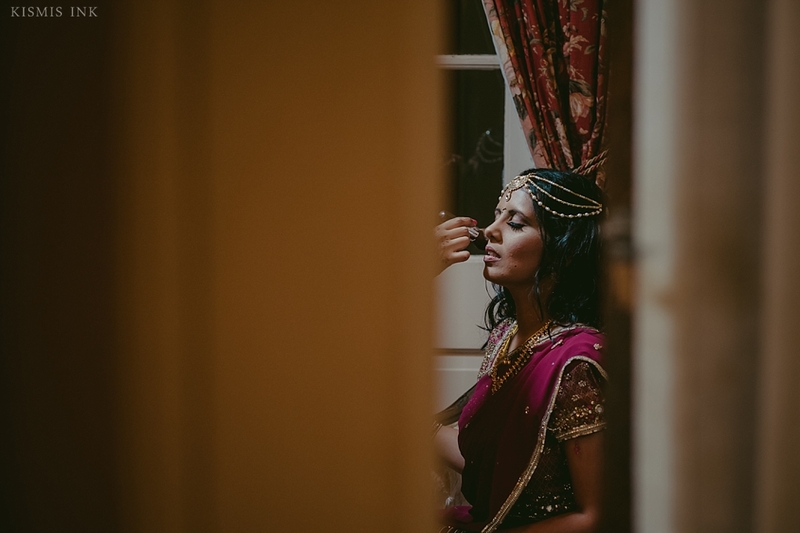 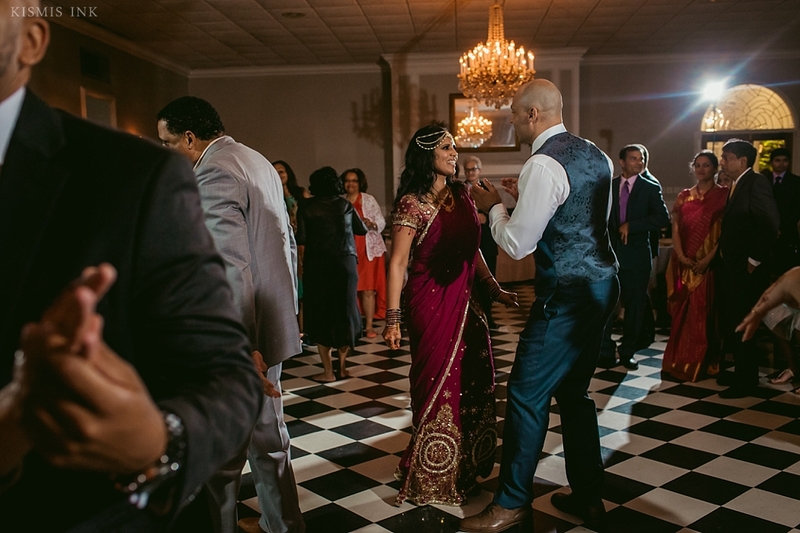 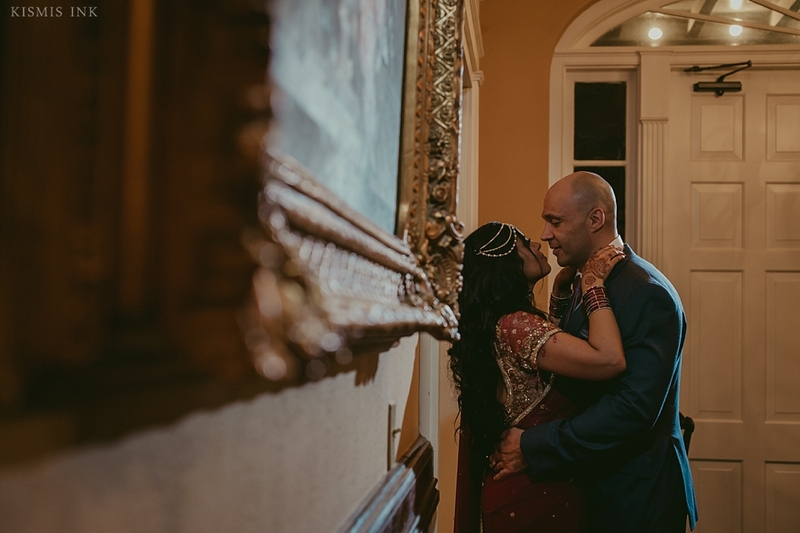 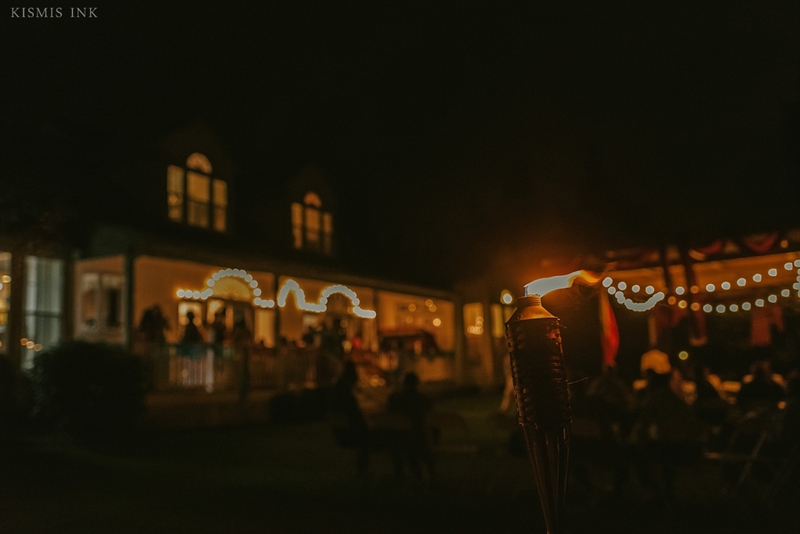 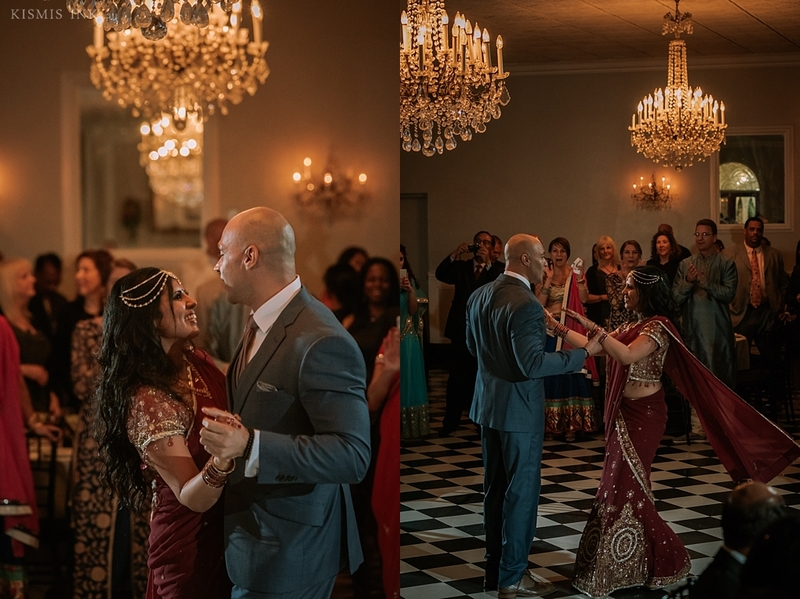 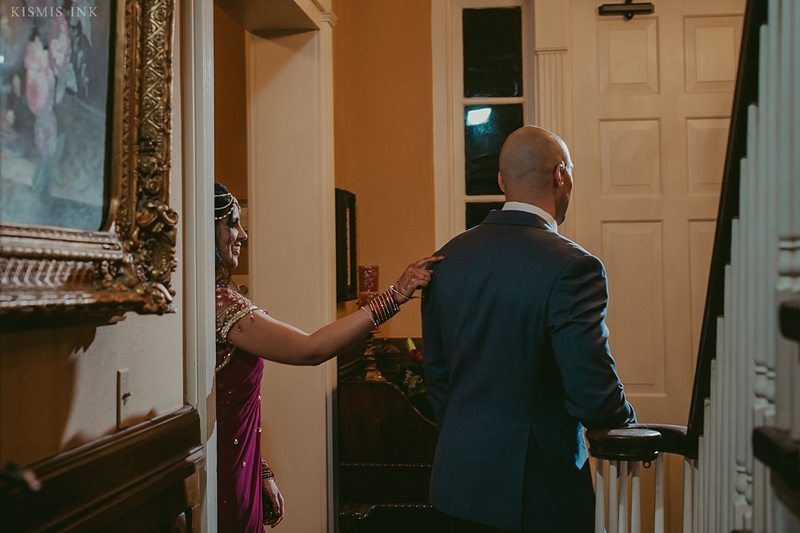 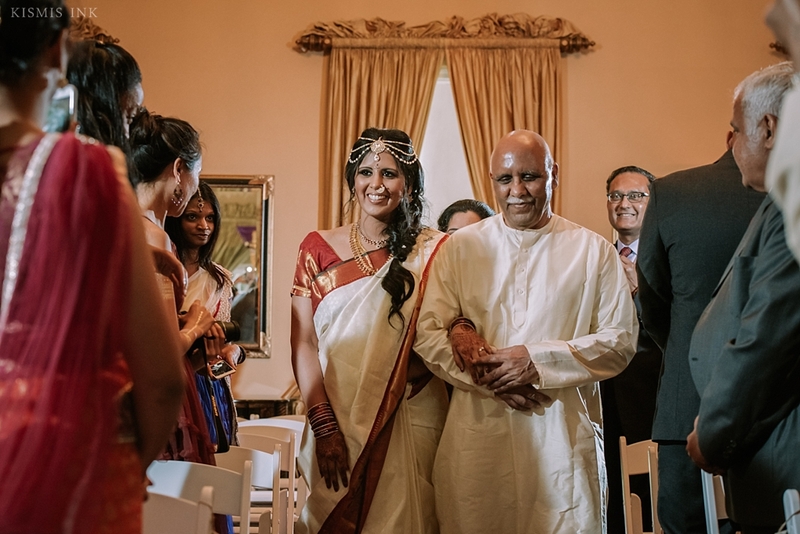 Best of all, the venue included a grand French ballroom, complete with sconces, marble floor and more chandeliers; the perfect backdrop for Smitha and Stevon’s reception. 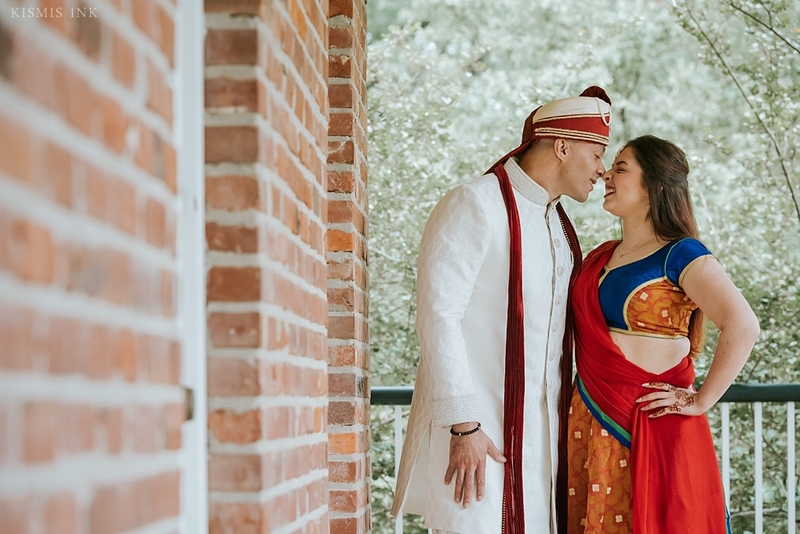 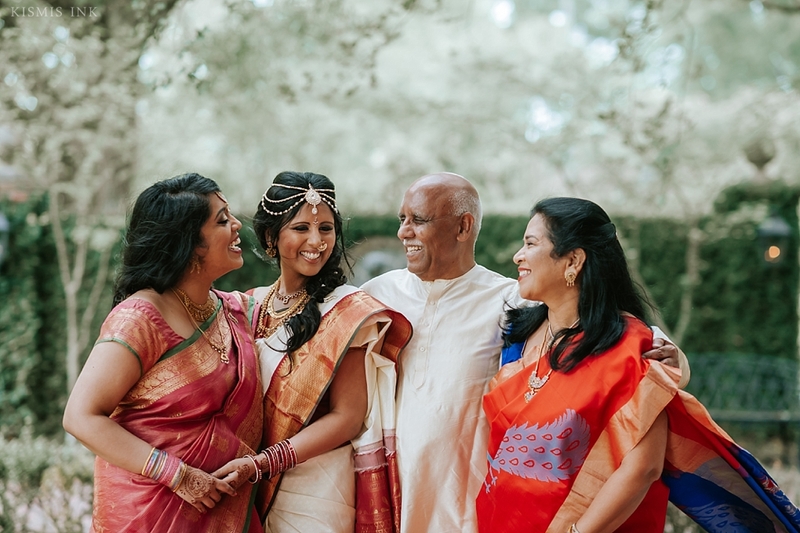 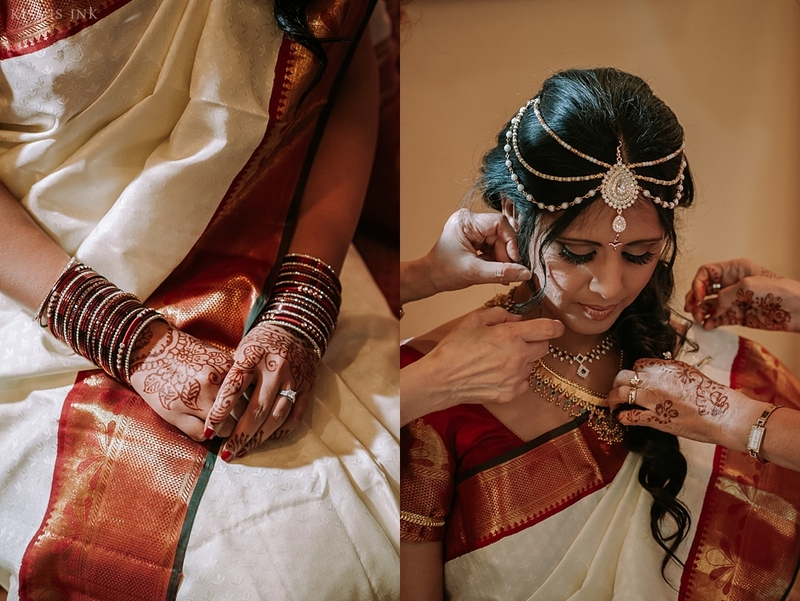 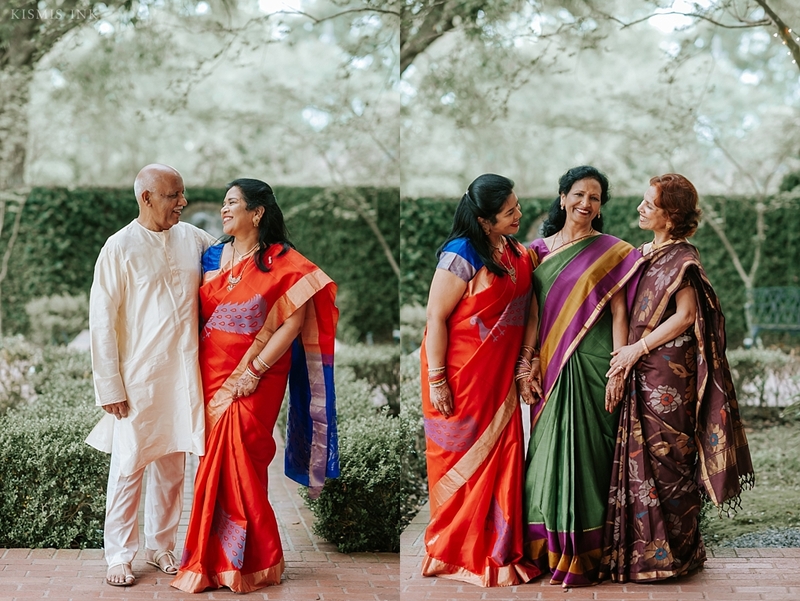 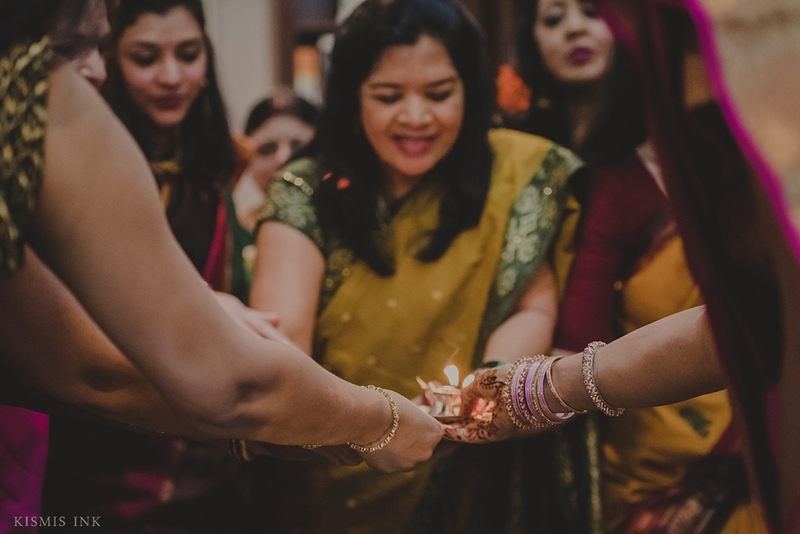 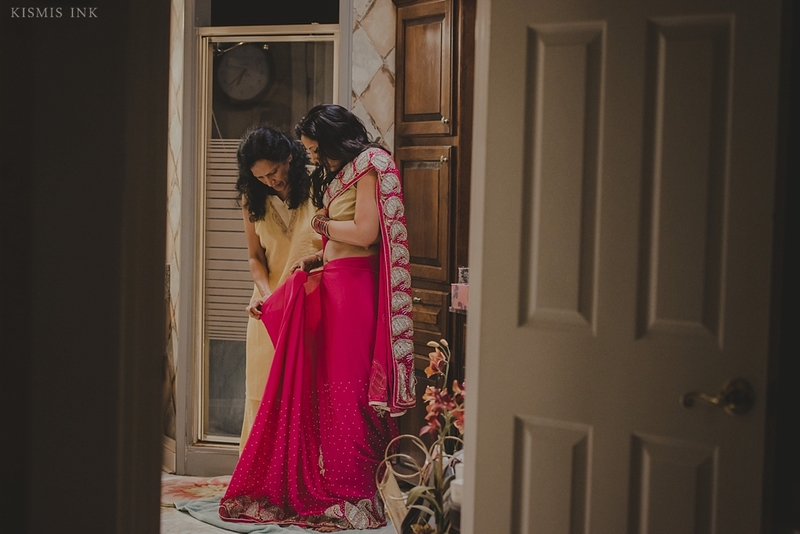 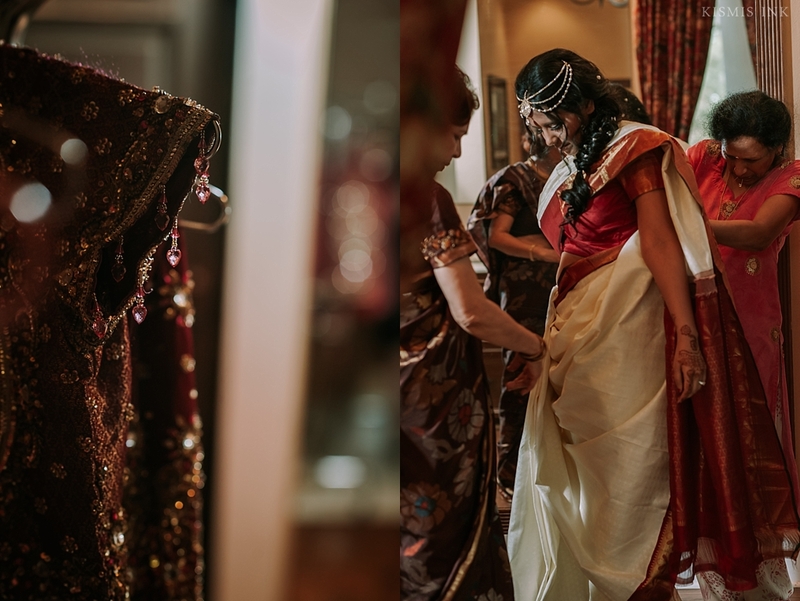 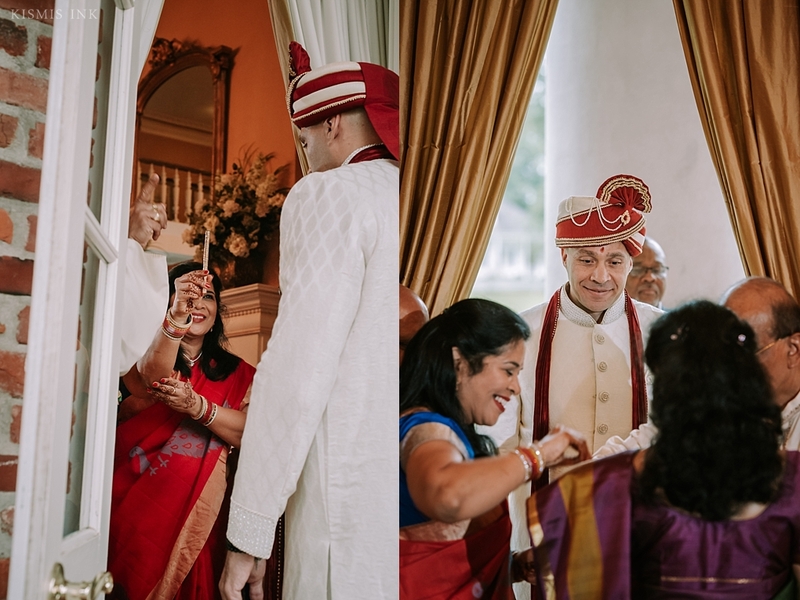 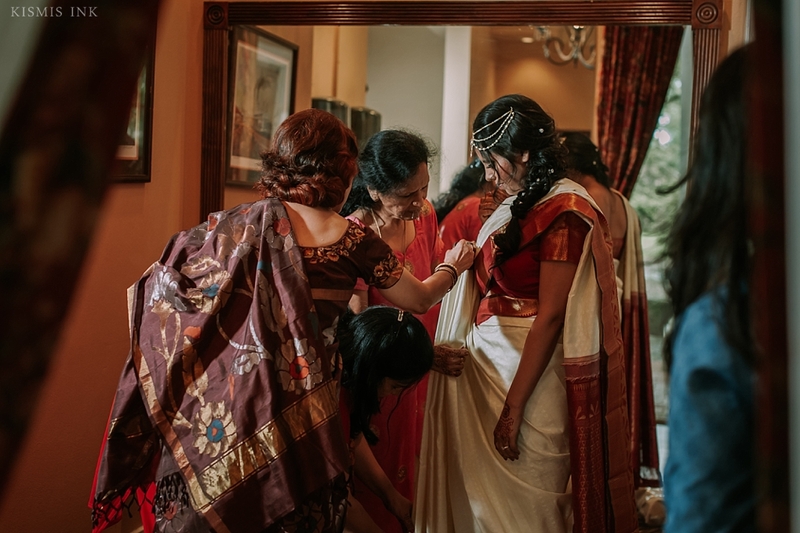 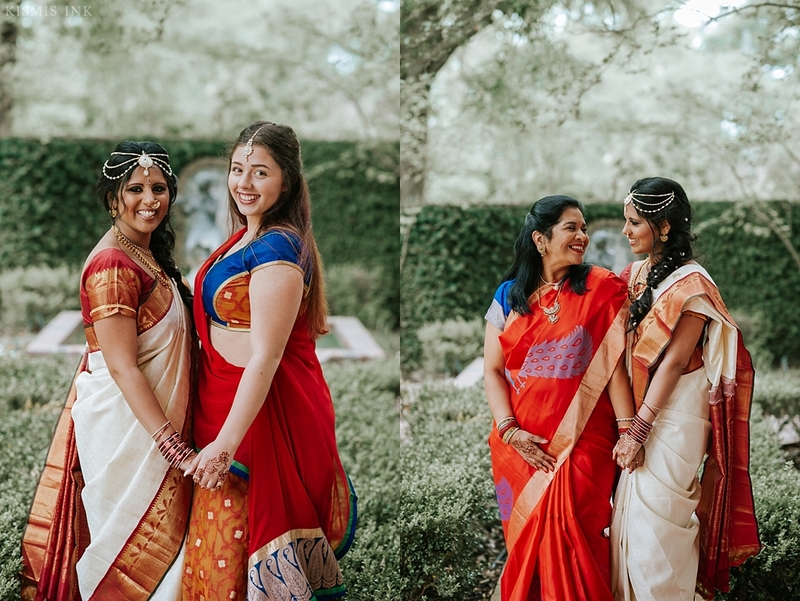 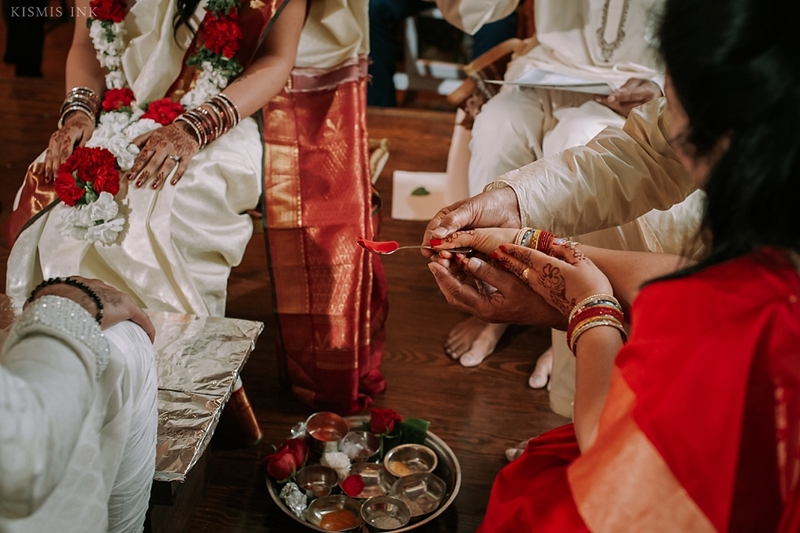 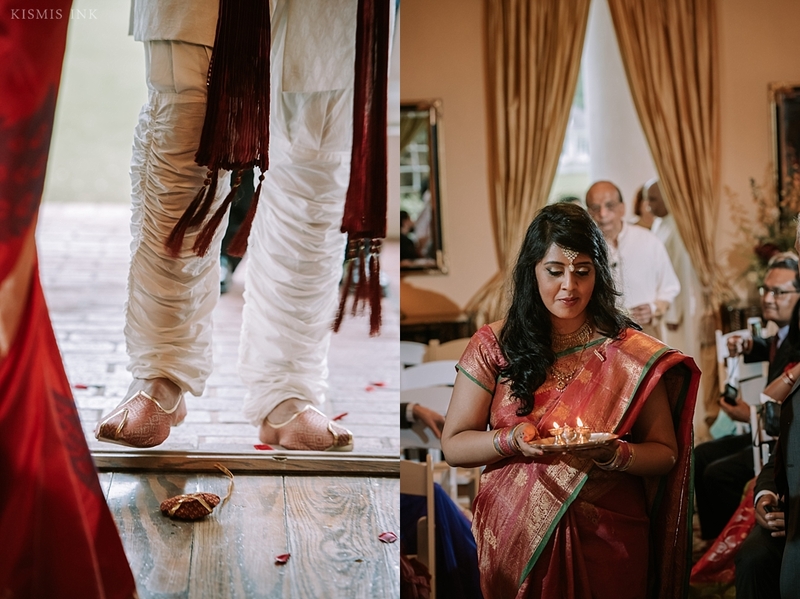 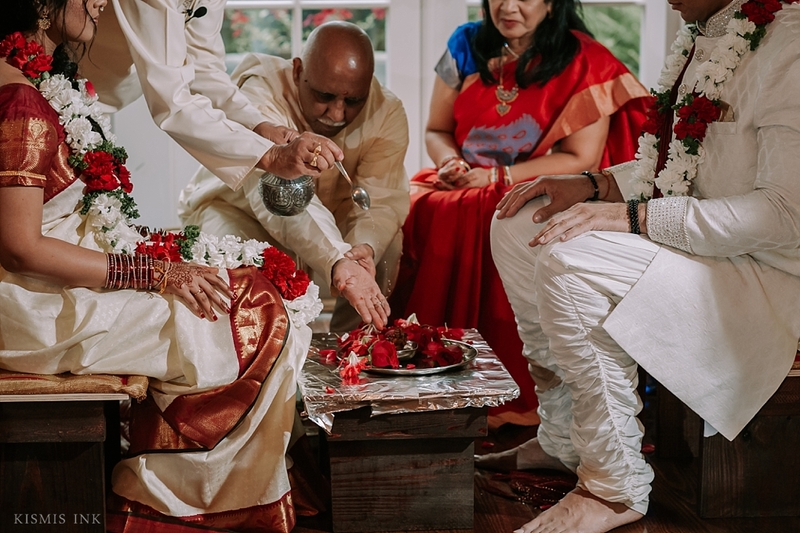 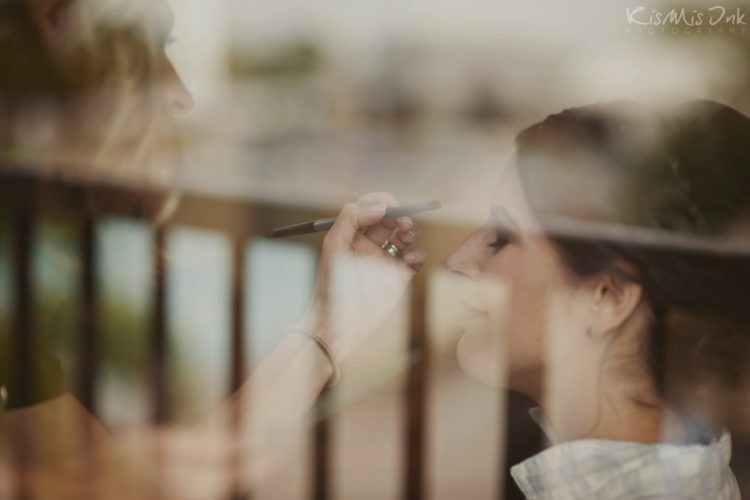 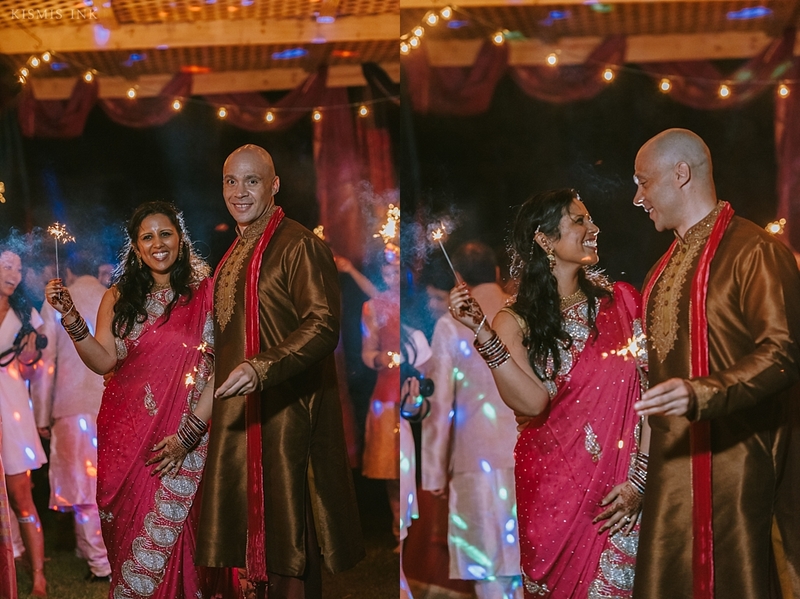 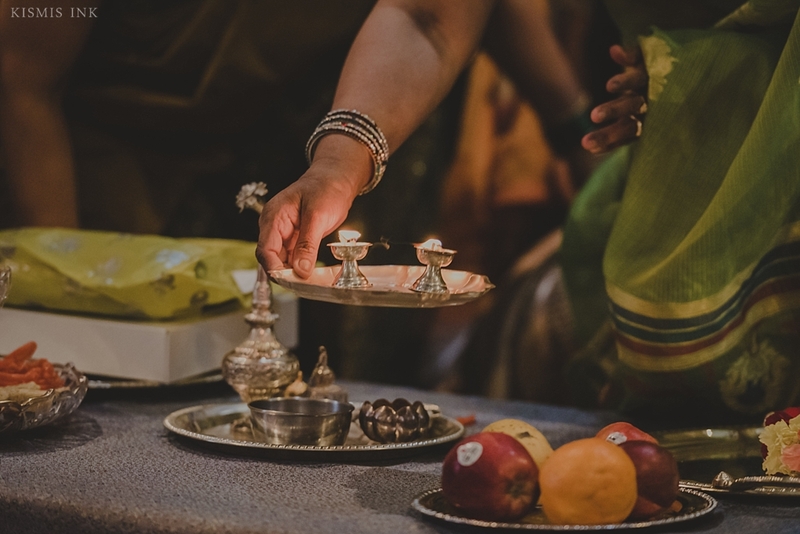 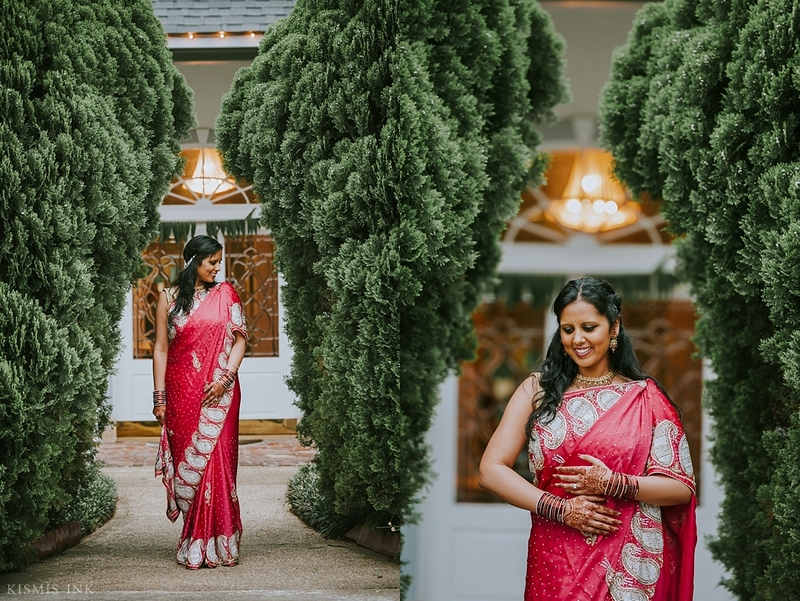 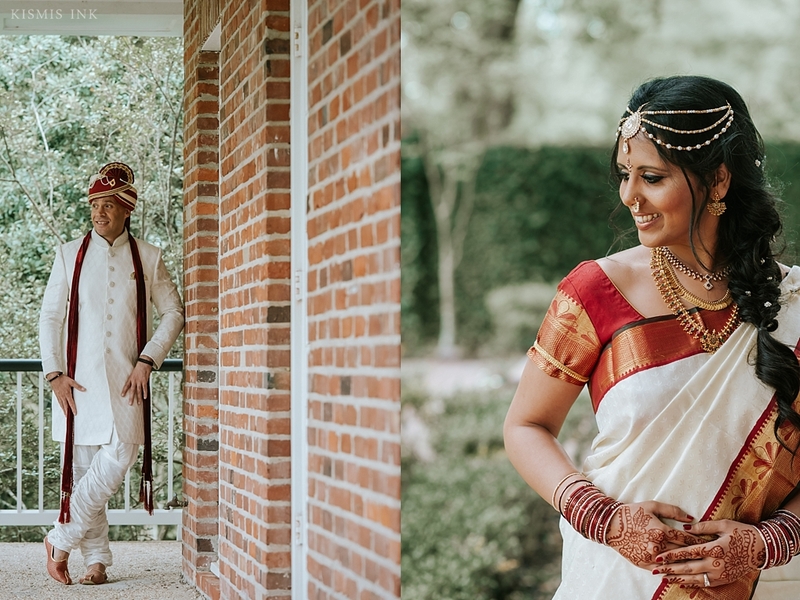 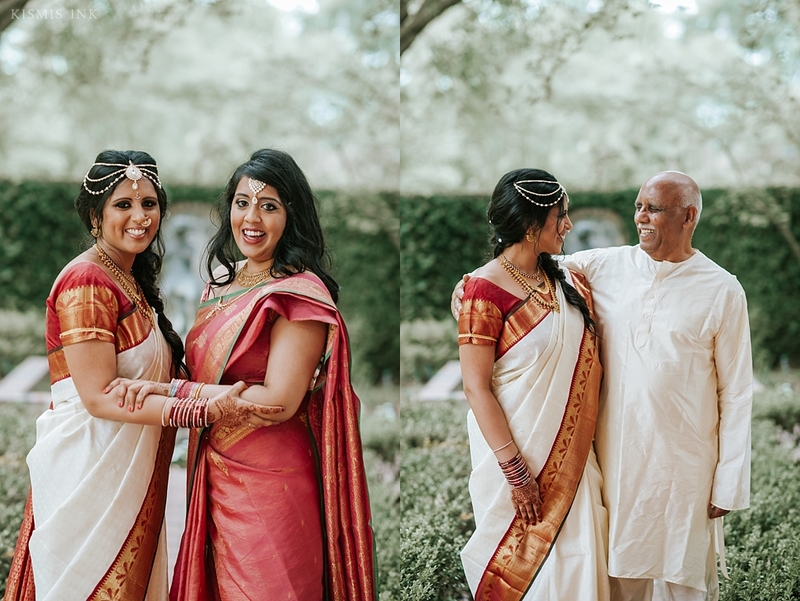 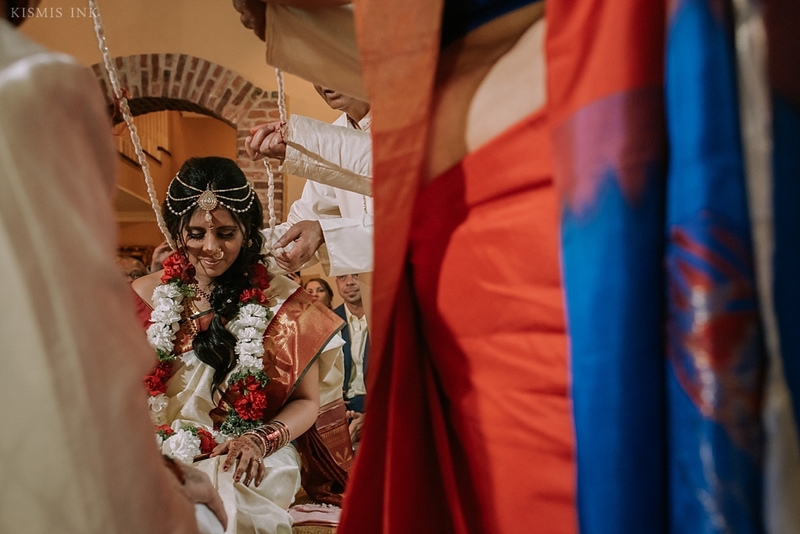 “We want our wedding to be all about celebrating those that are most dear to us,” Smitha had mentioned earlier in their planning. 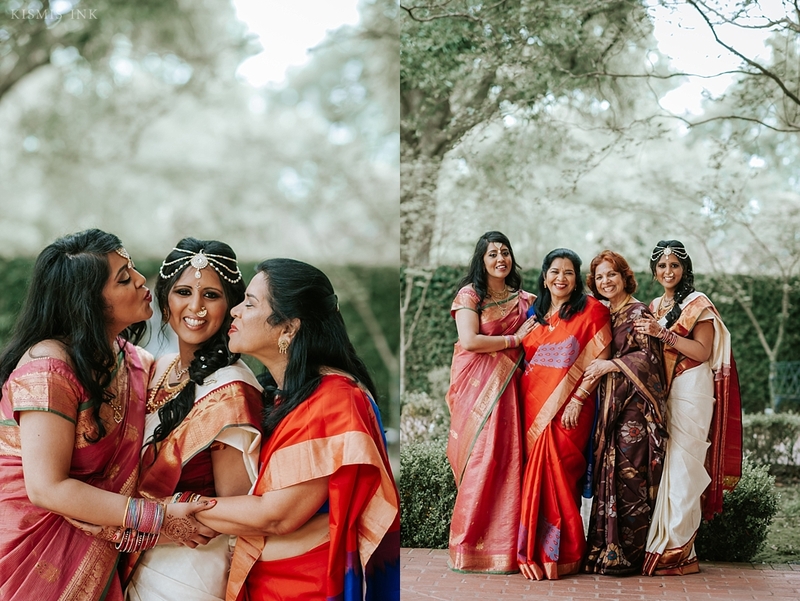 I must say, they truly accomplished that and more! 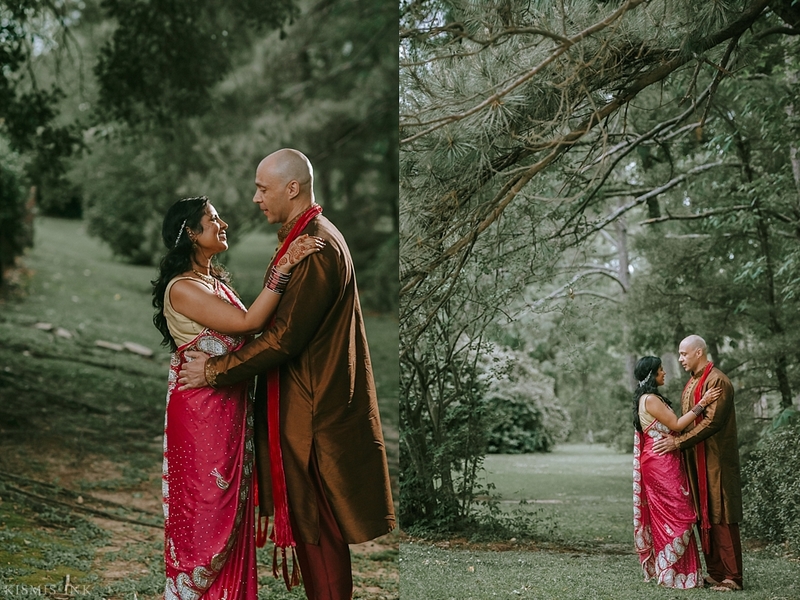 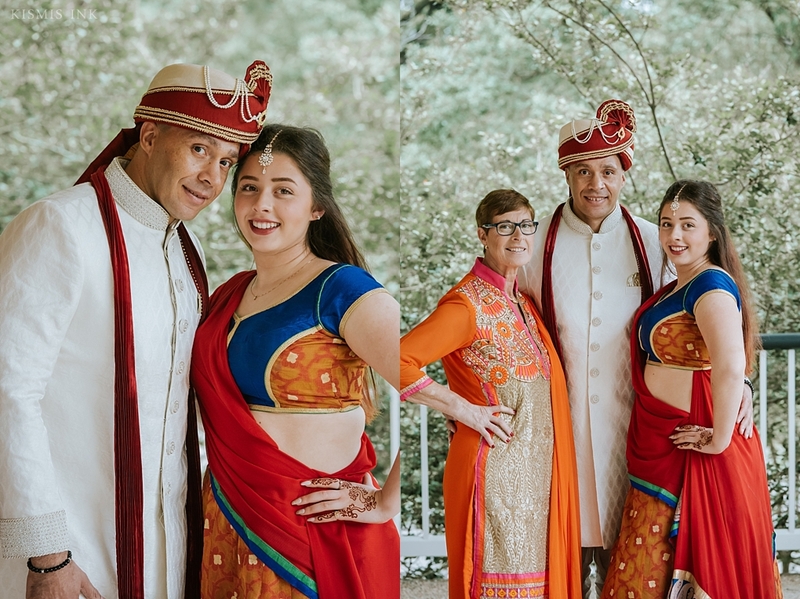 Smitha and Stevon, along with their families were the most welcoming and kind, and the love between them all was evident in every portrait. 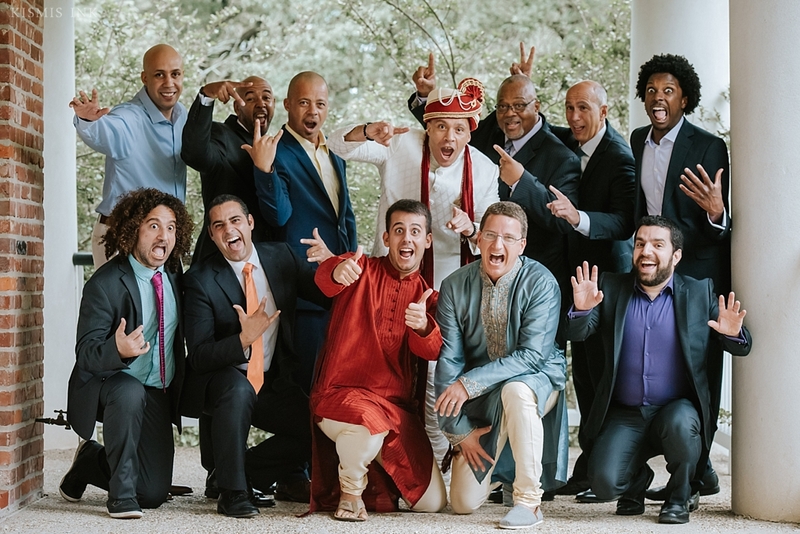 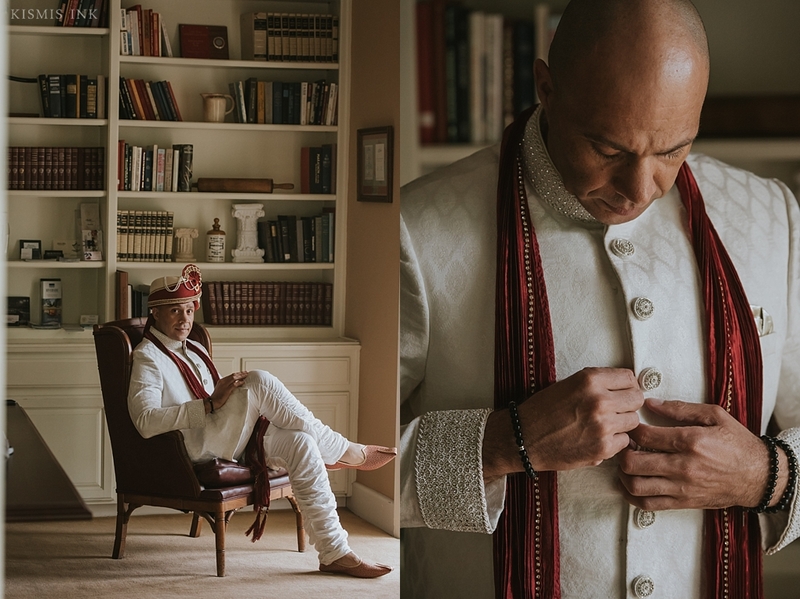 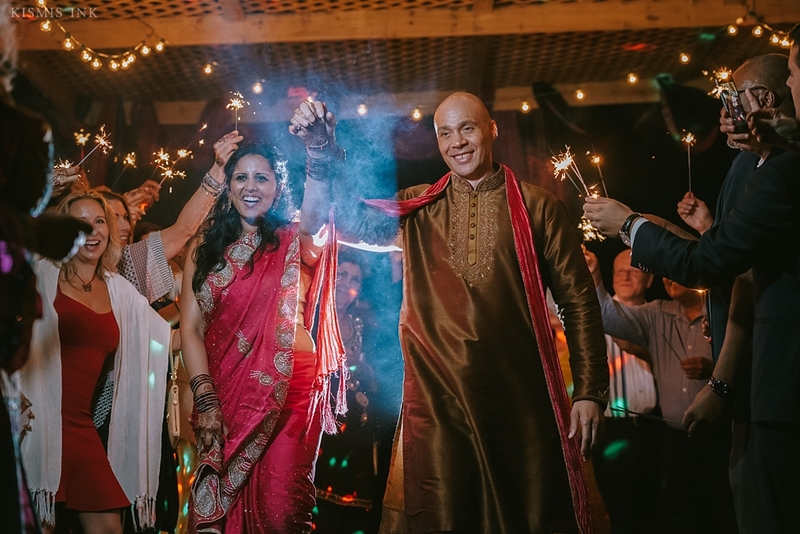 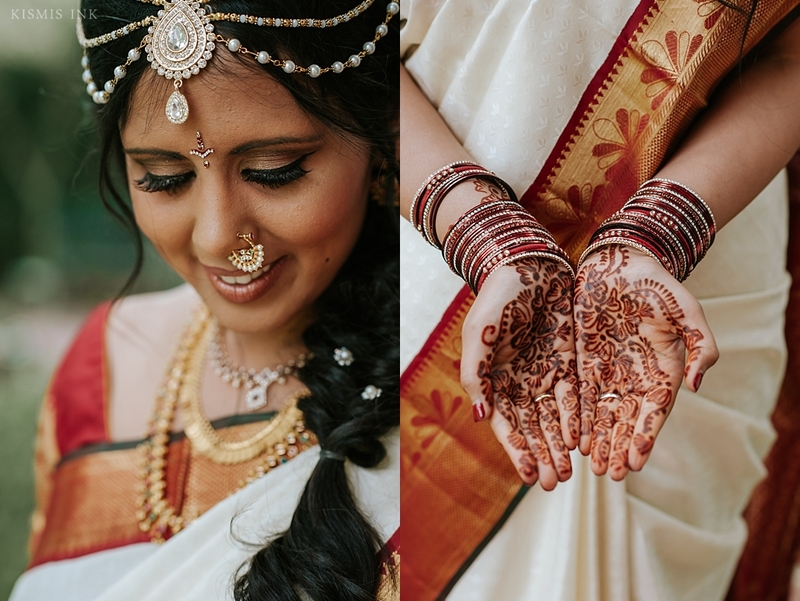 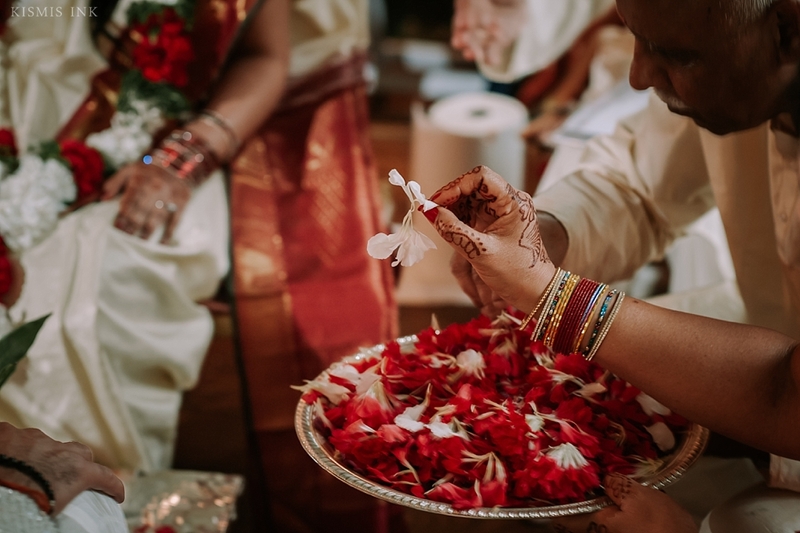 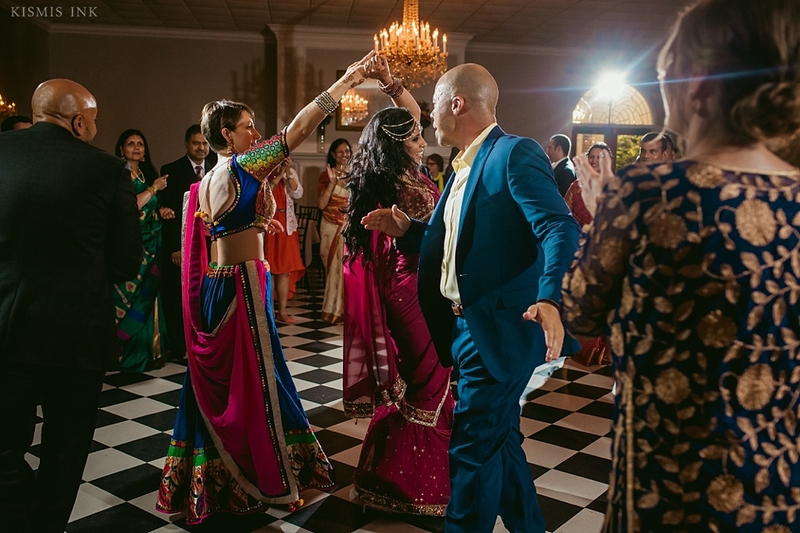 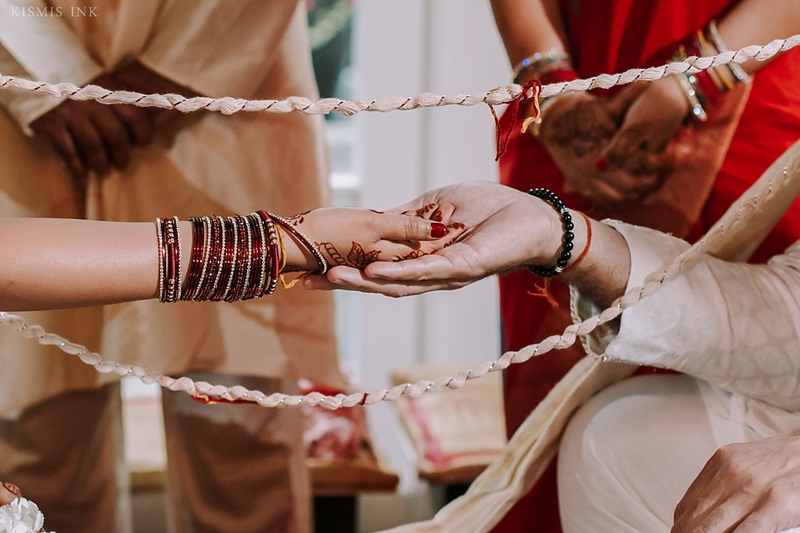 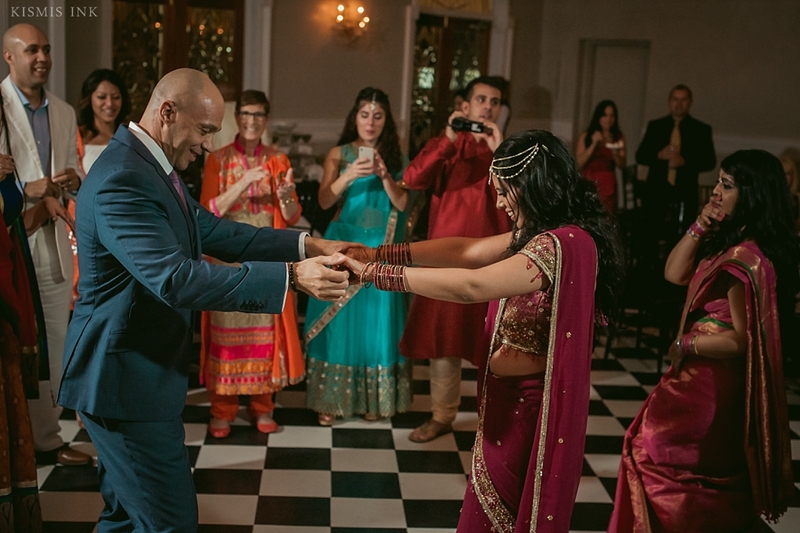 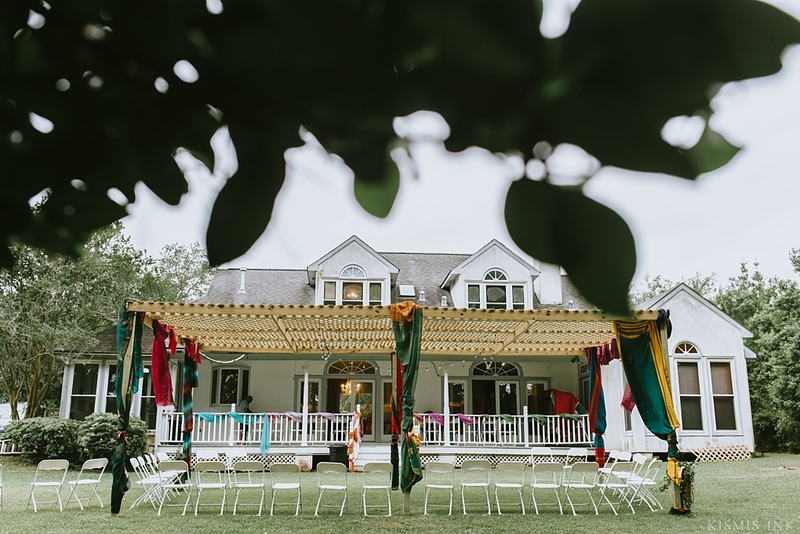 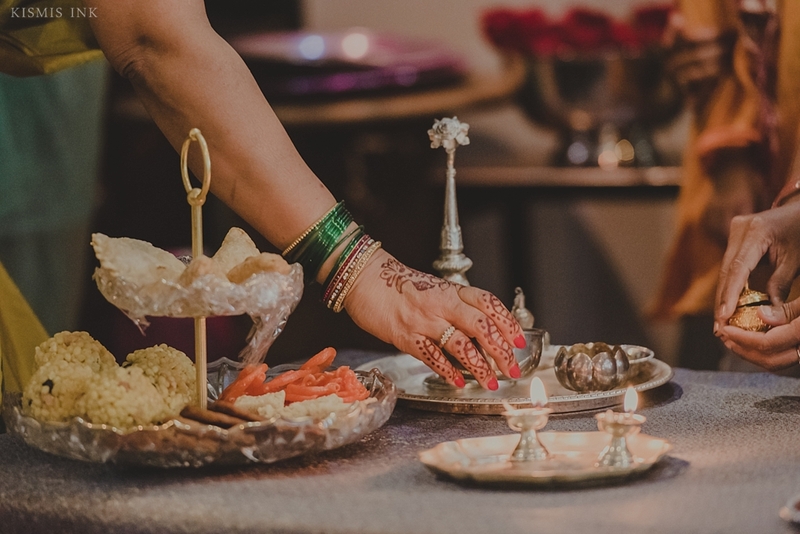 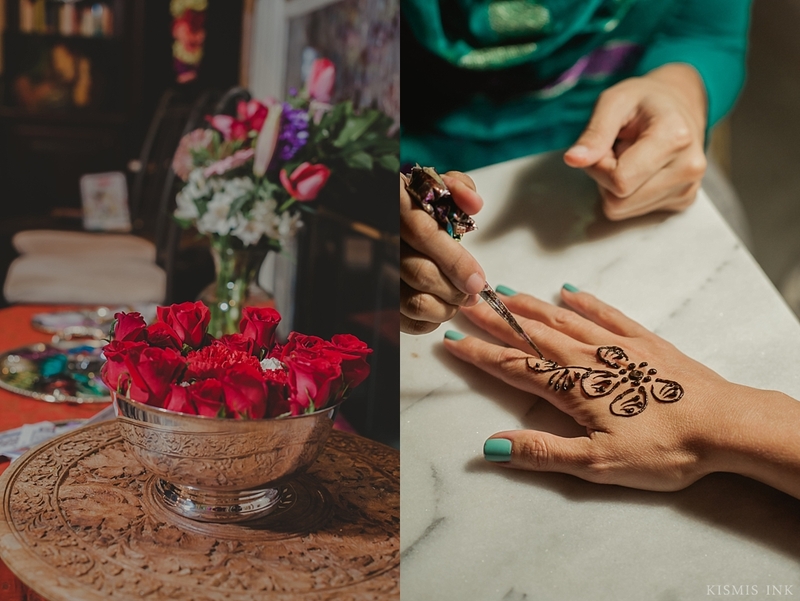 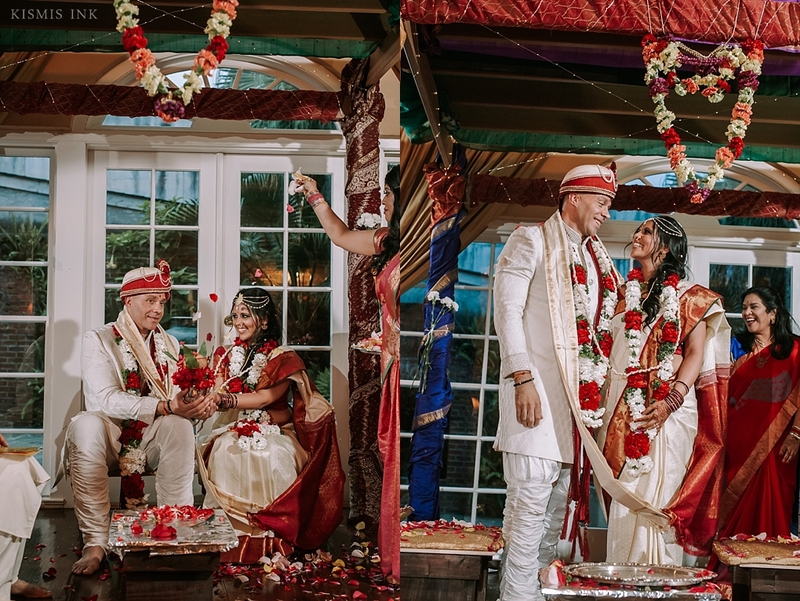 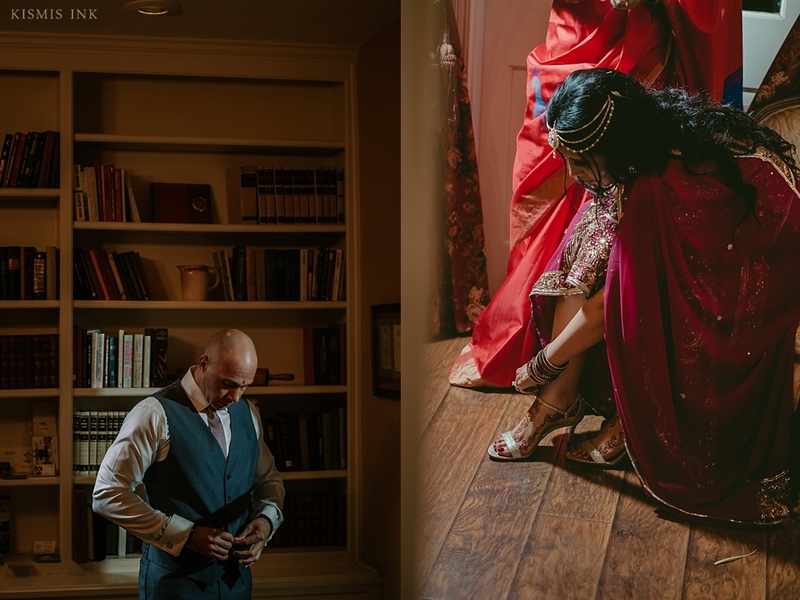 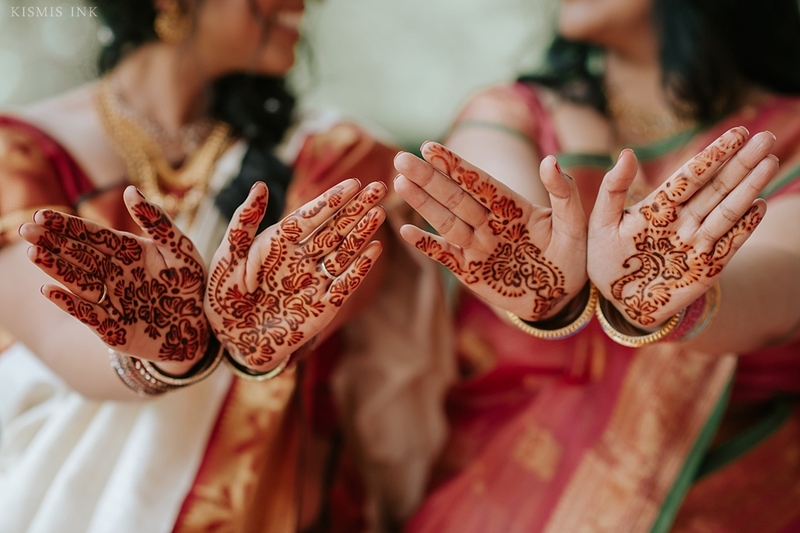 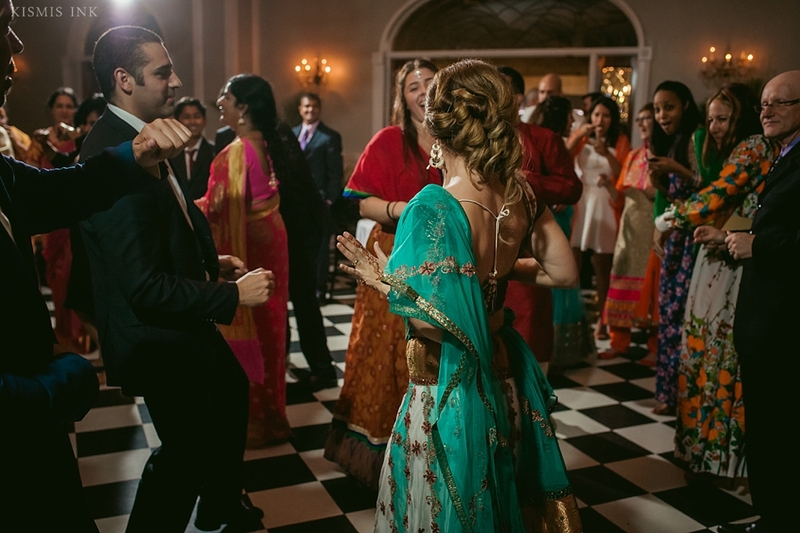 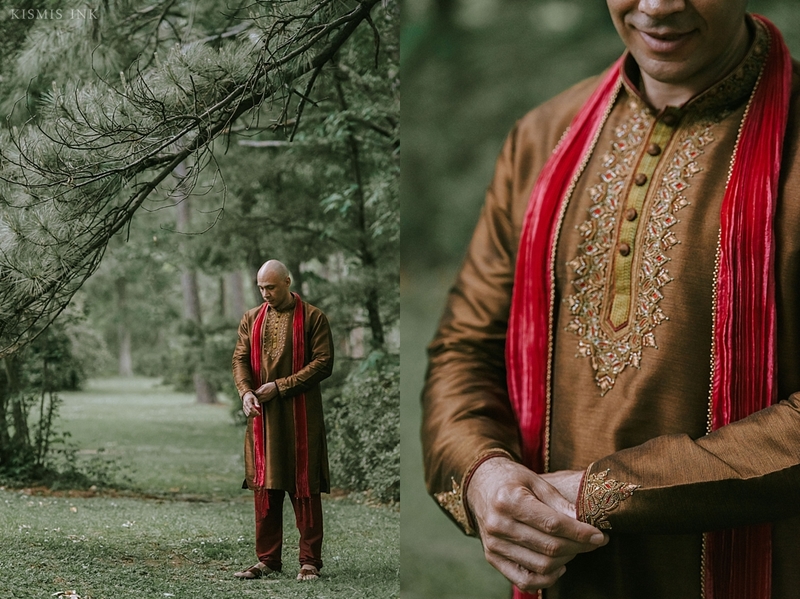 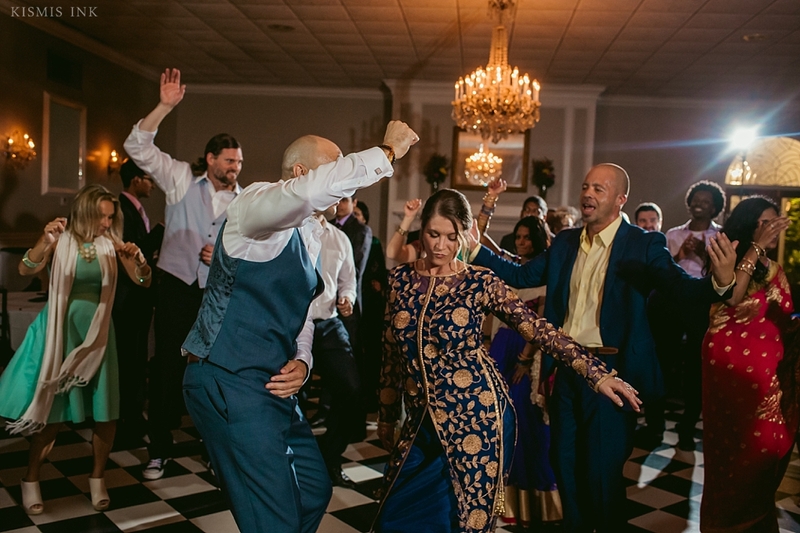 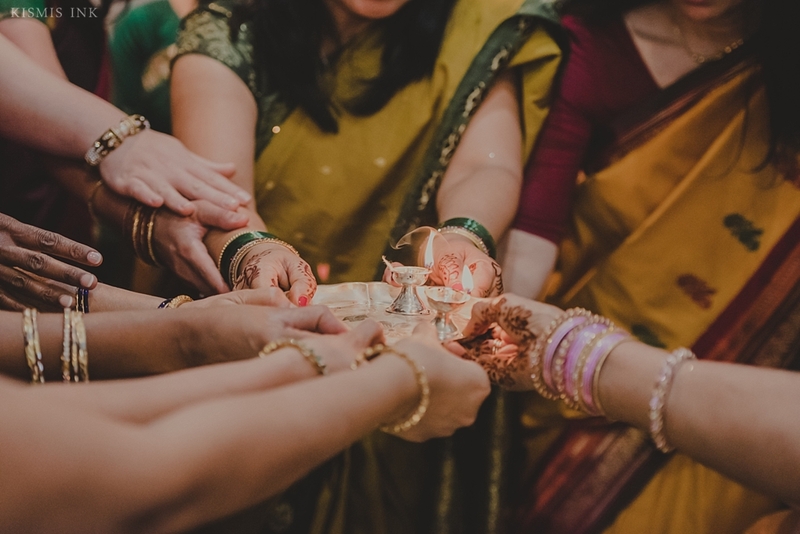 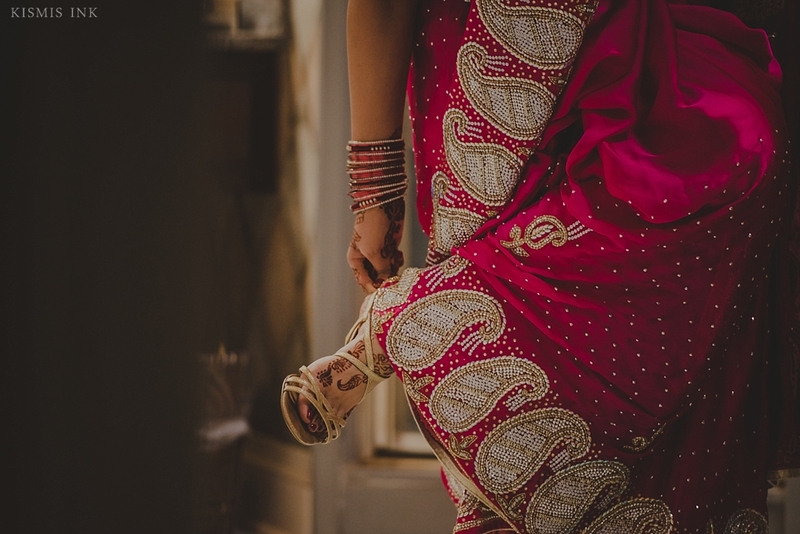 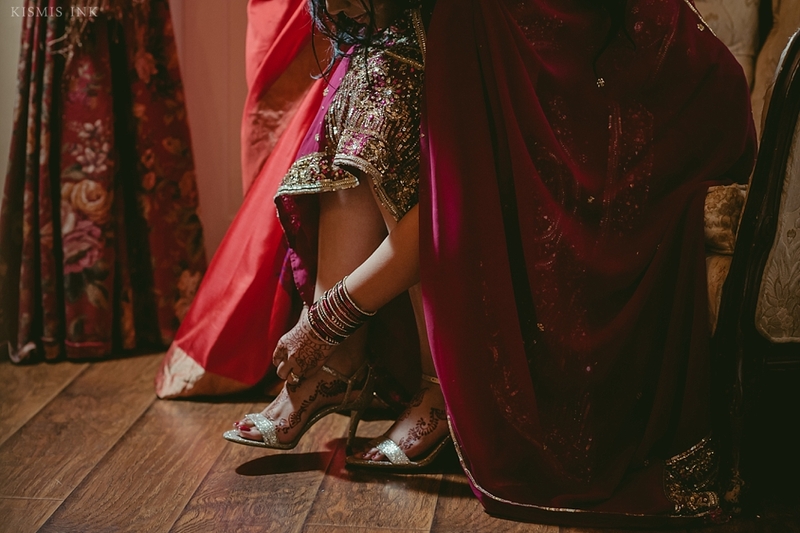 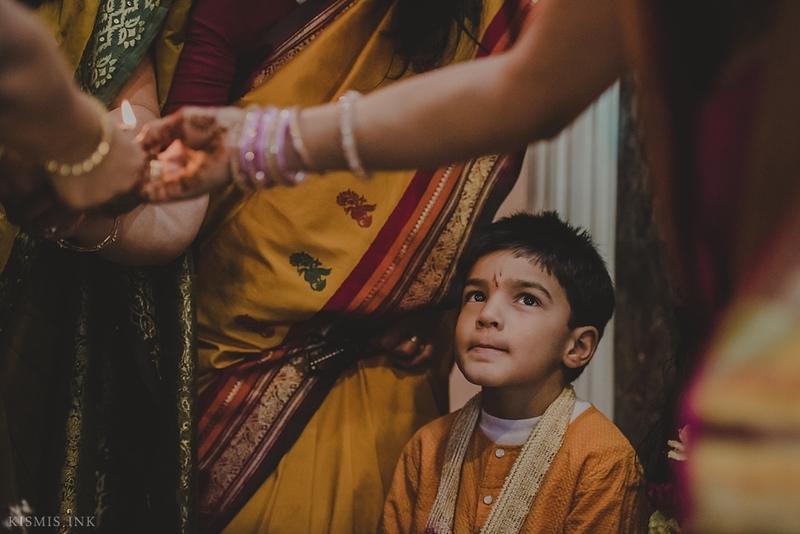 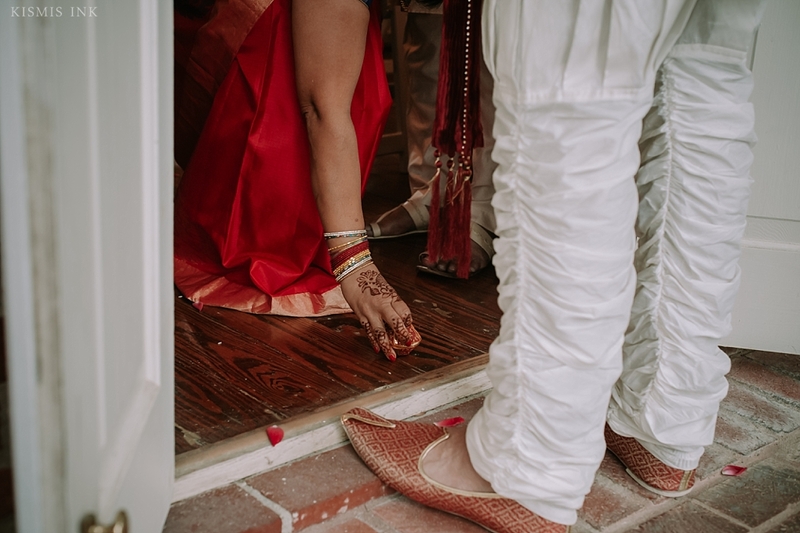 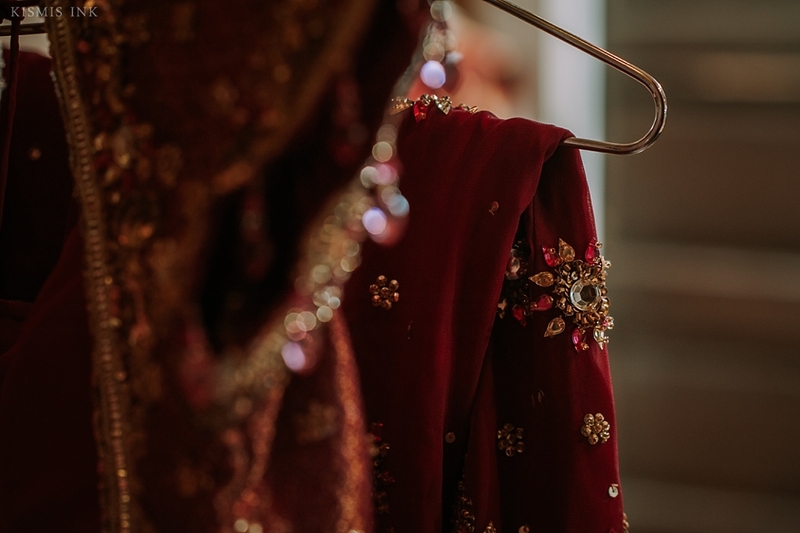 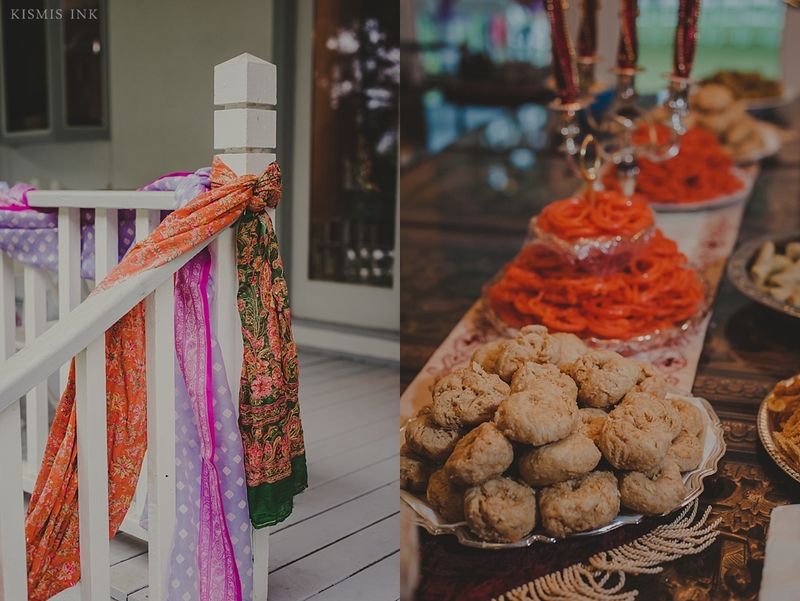 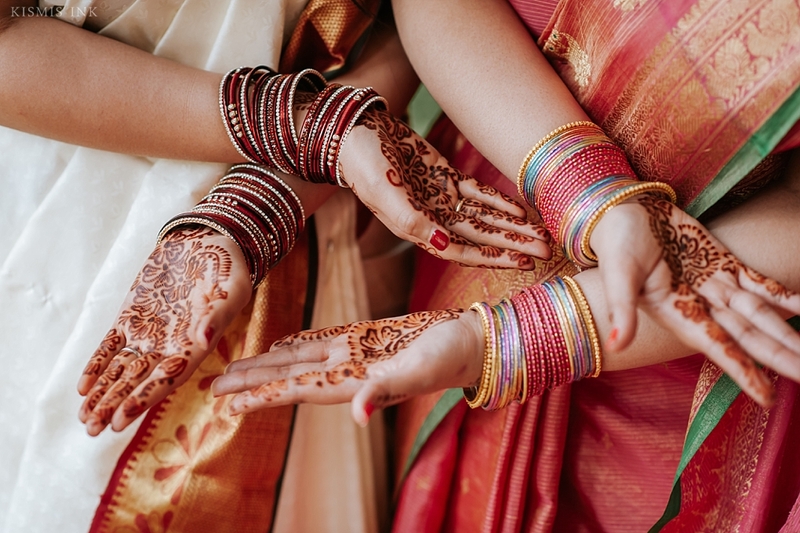 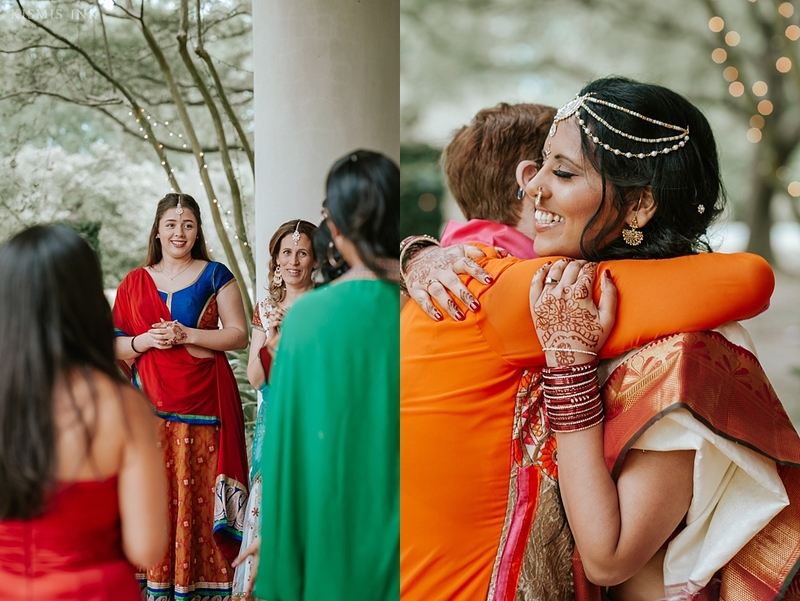 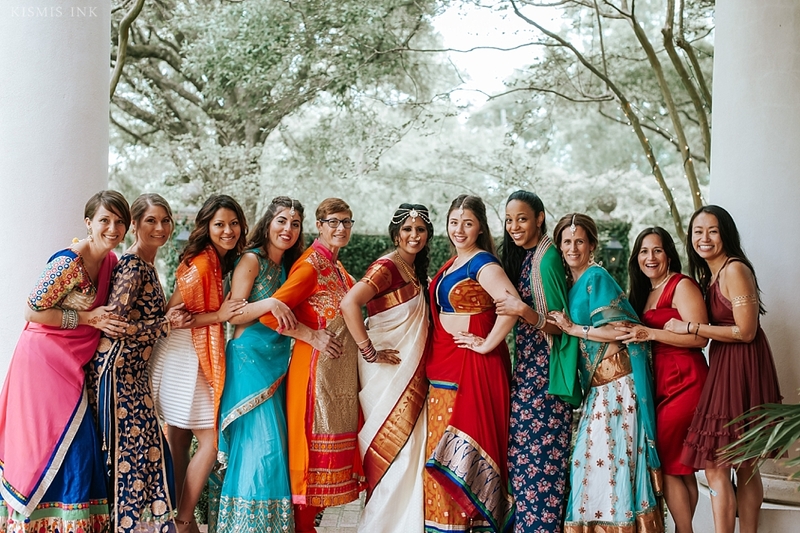 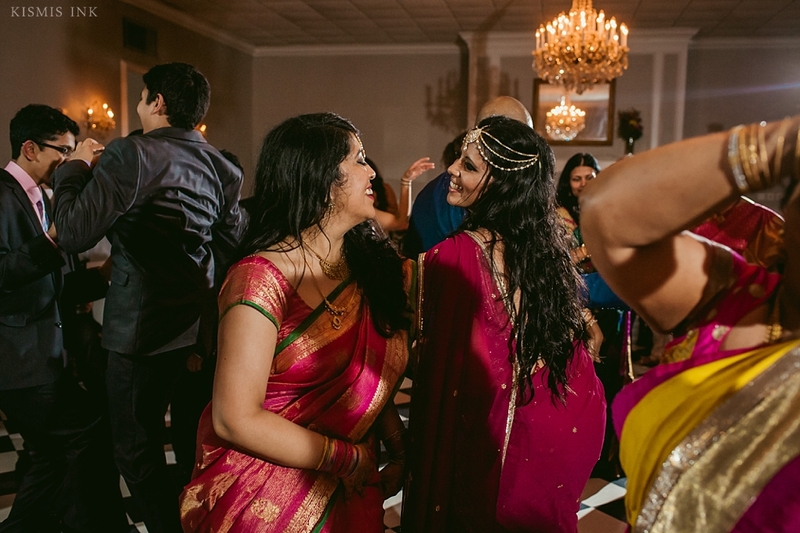 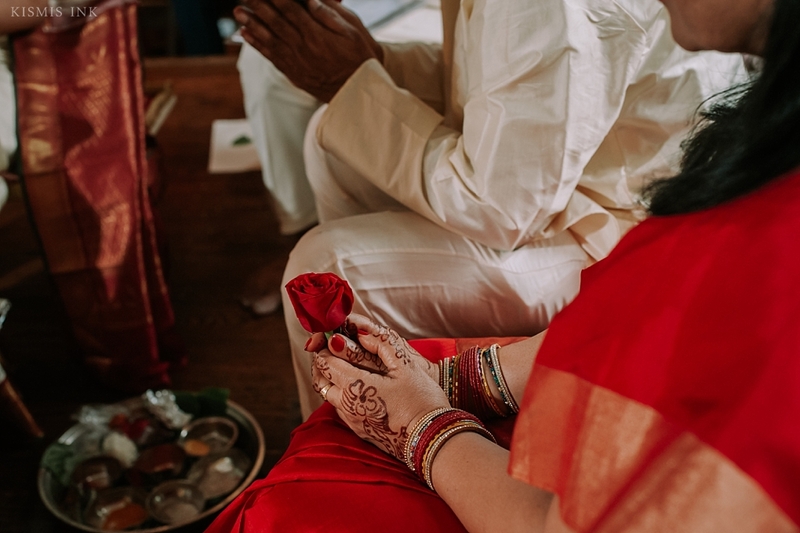 From the intricate henna details and vibrant colors to the lively music that filled the air, the entire wedding weekend was full of unforgettable details and moments. 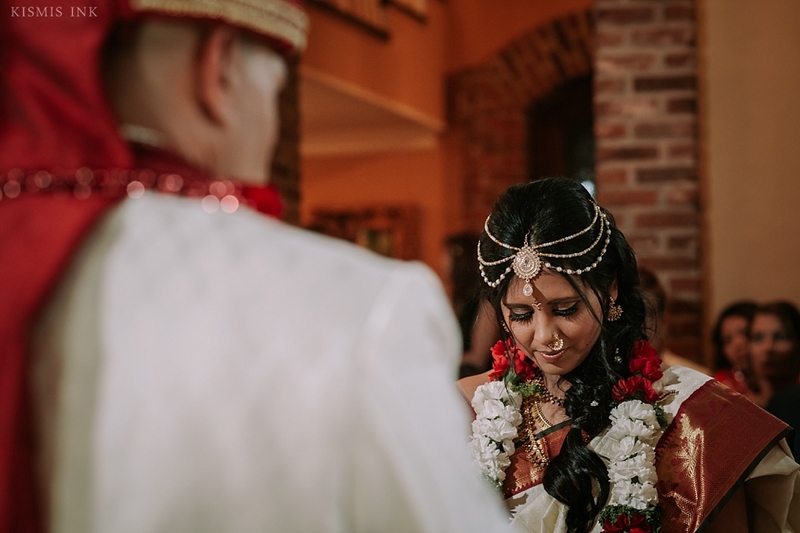 The ceremony was full of emotion and beautiful traditions, and it was so sweet to capture how Stevon lovingly gazed at his beautiful bride. 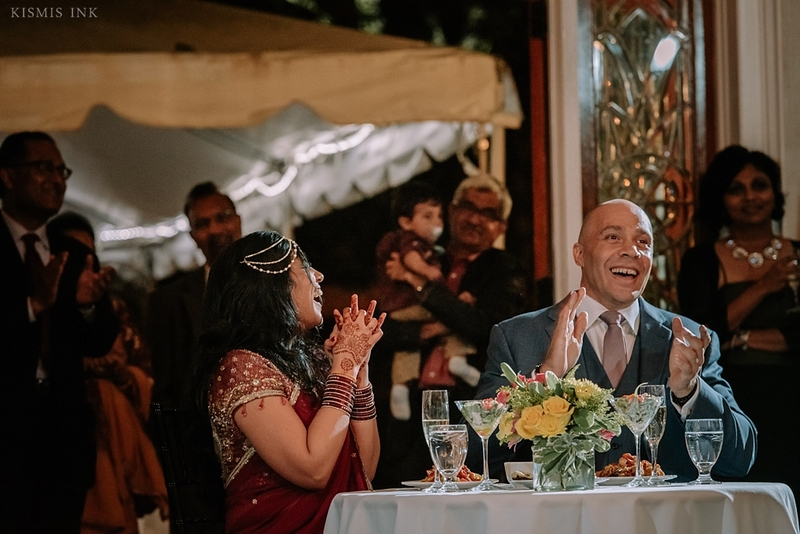 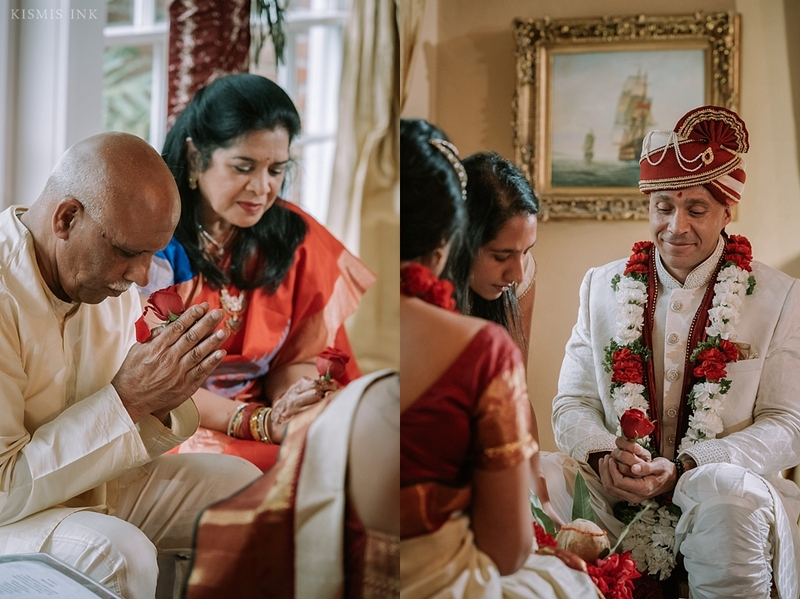 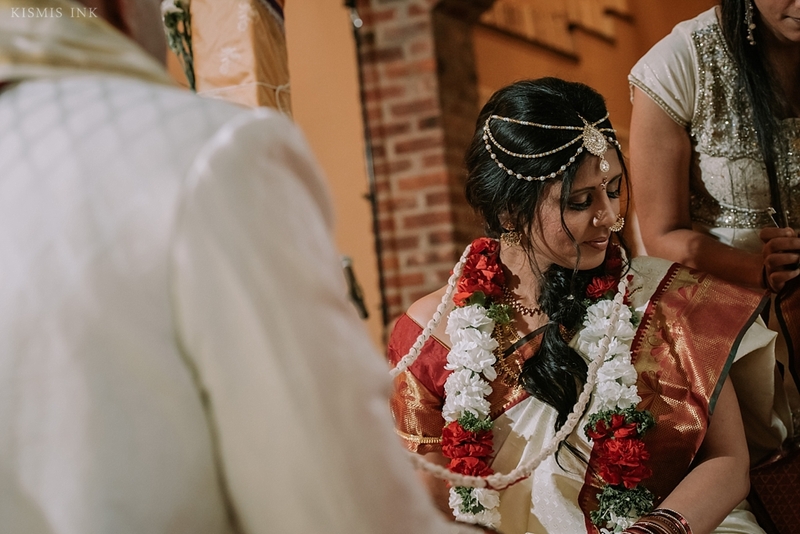 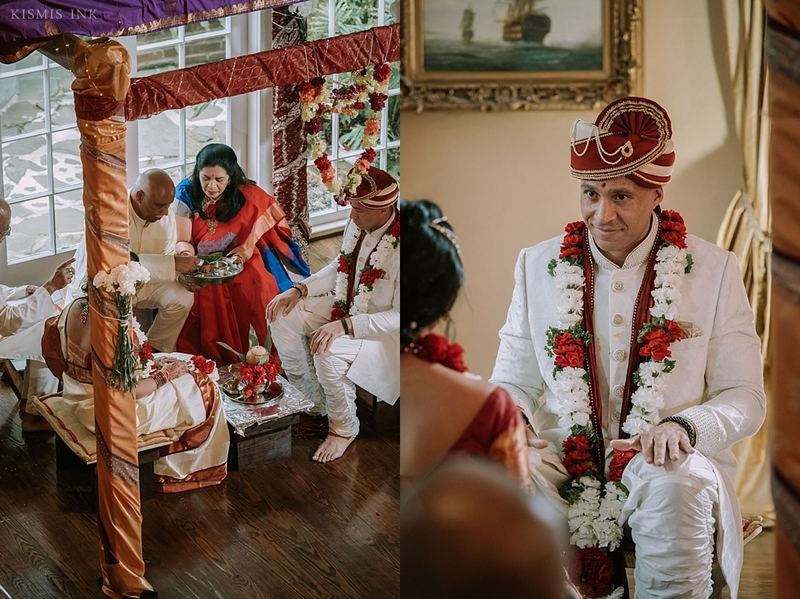 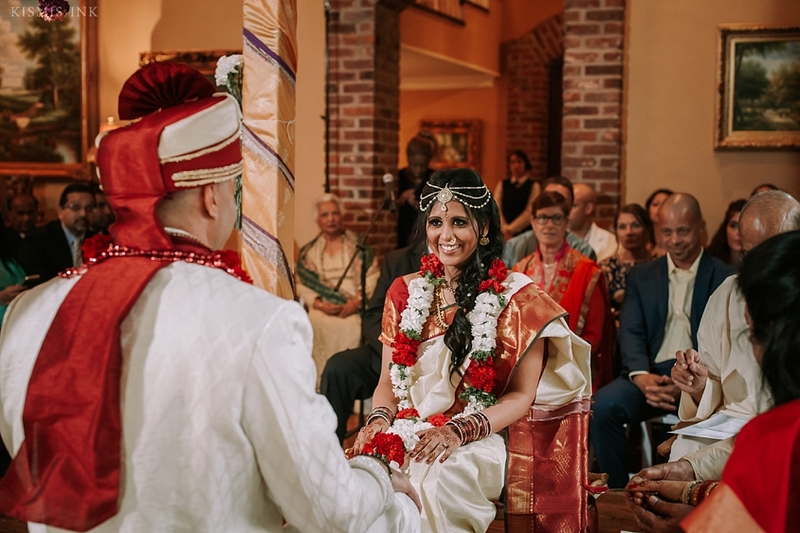 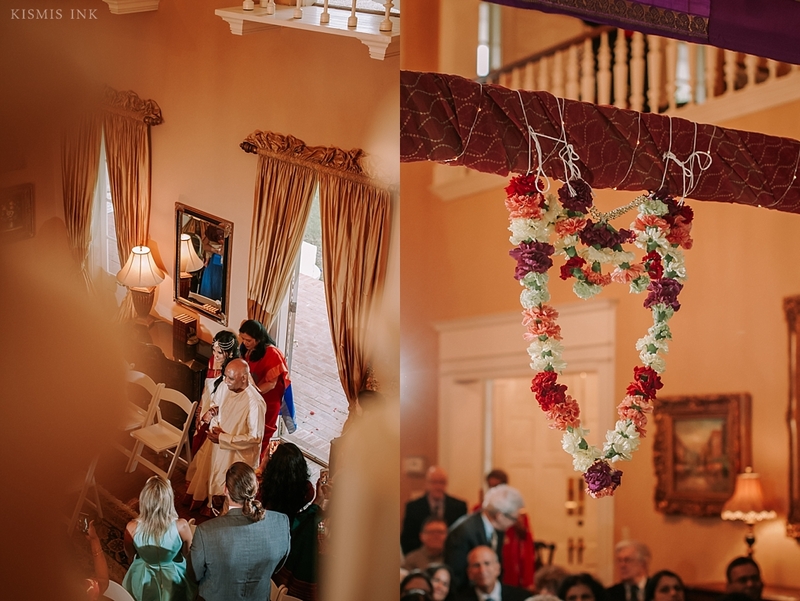 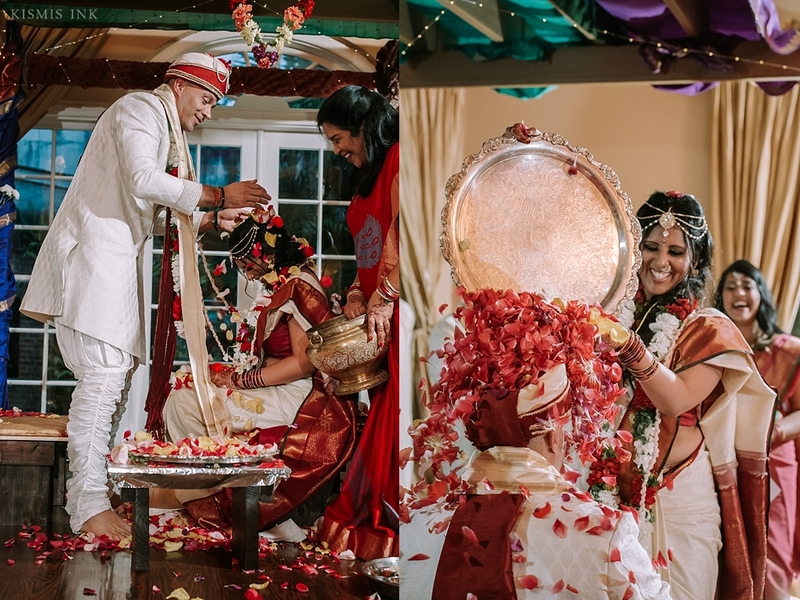 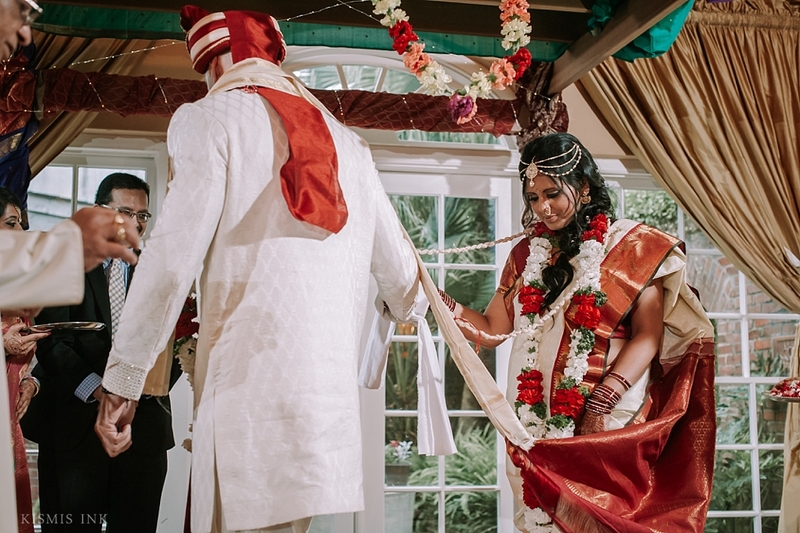 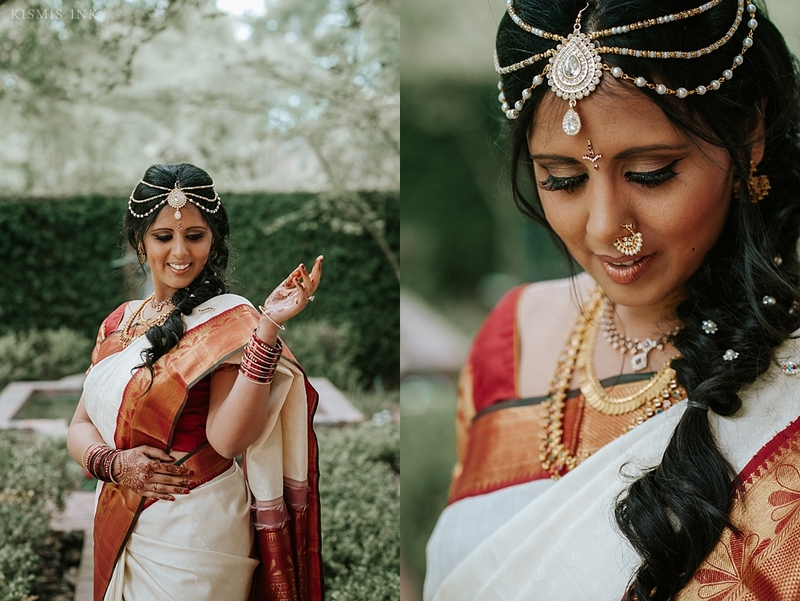 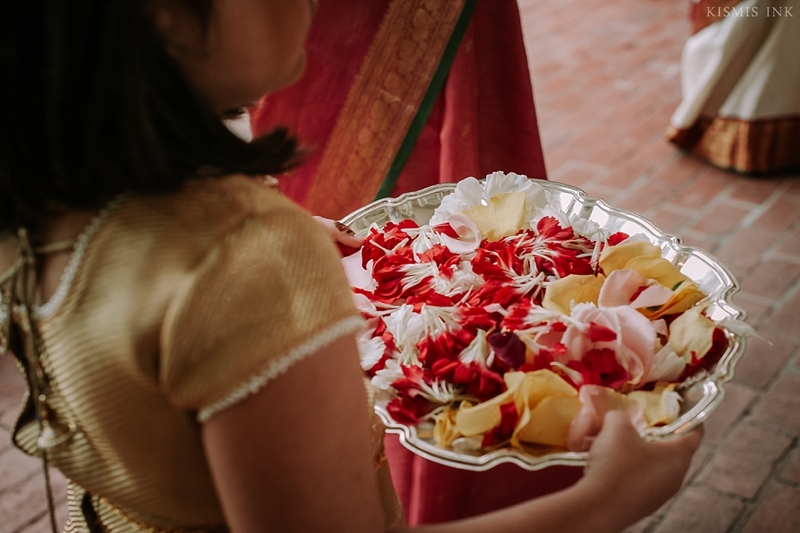 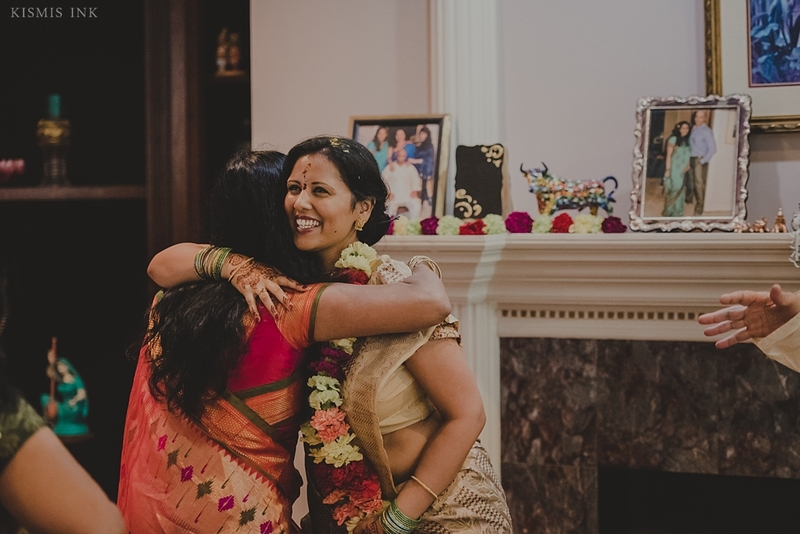 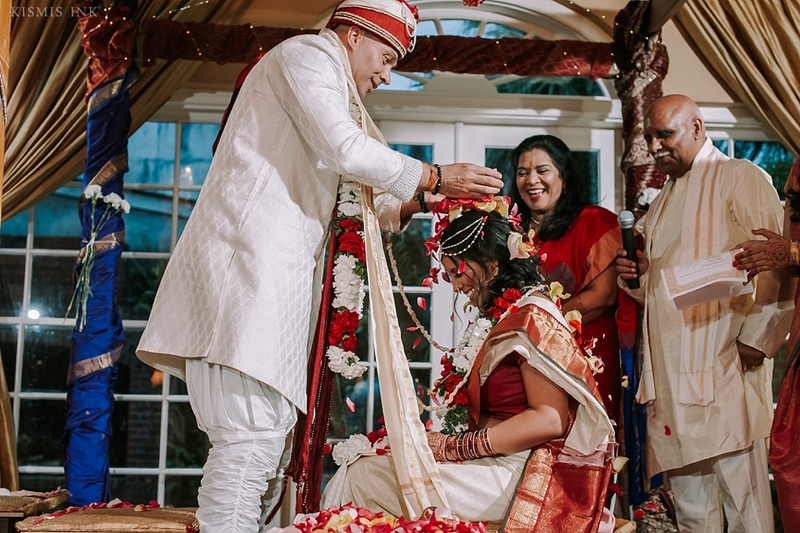 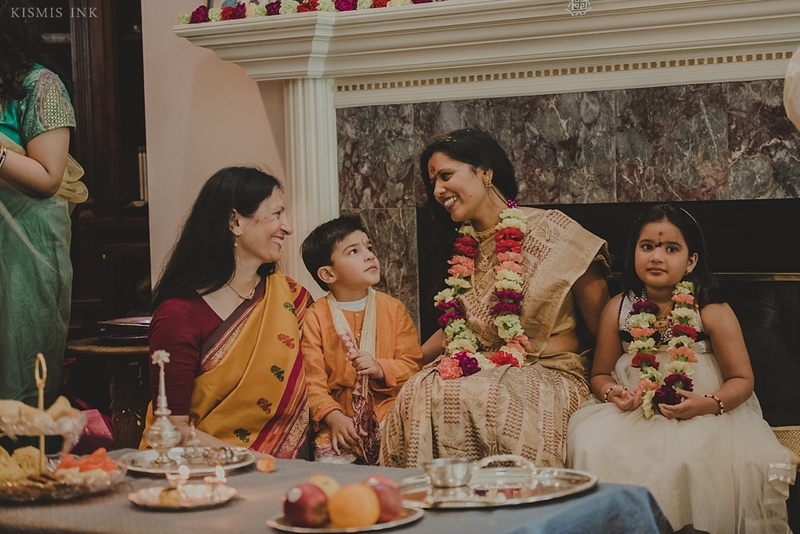 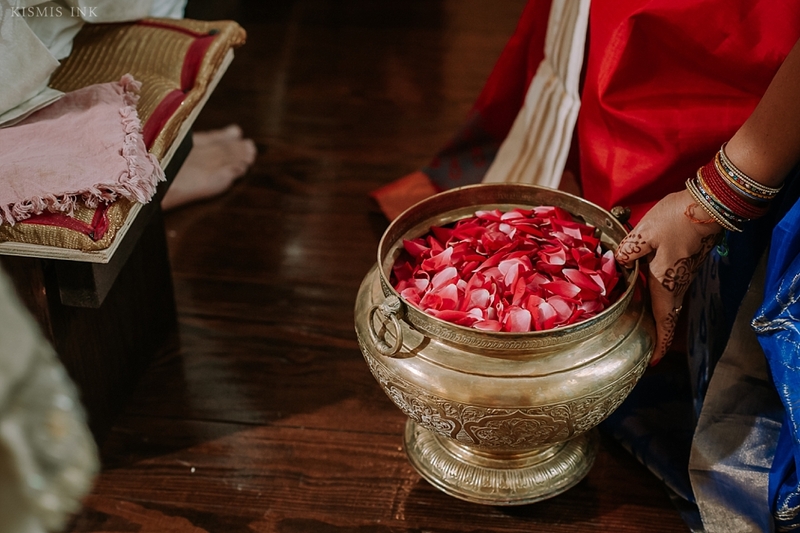 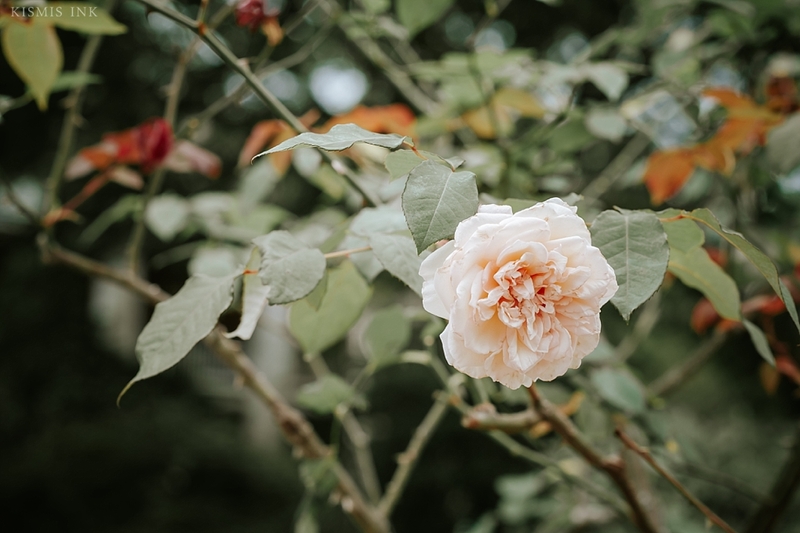 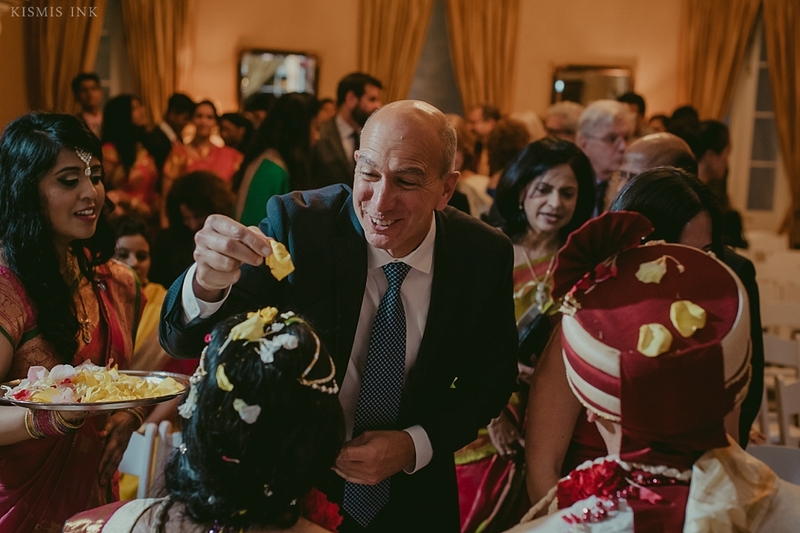 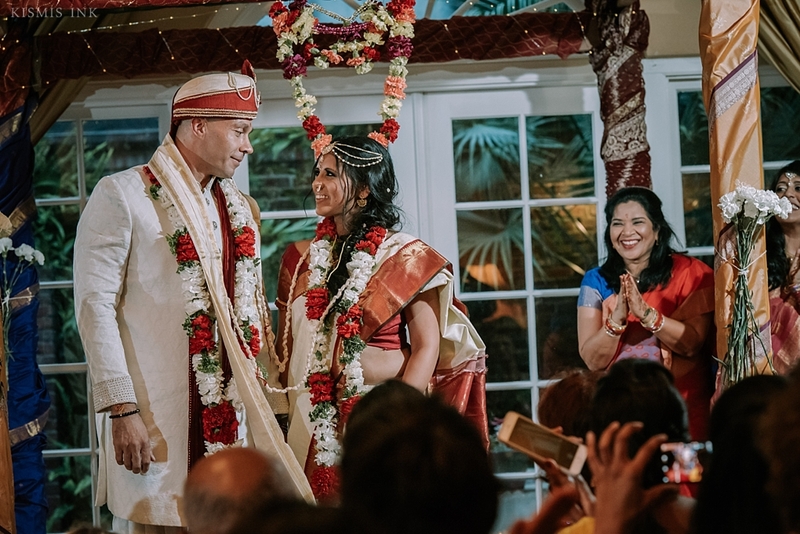 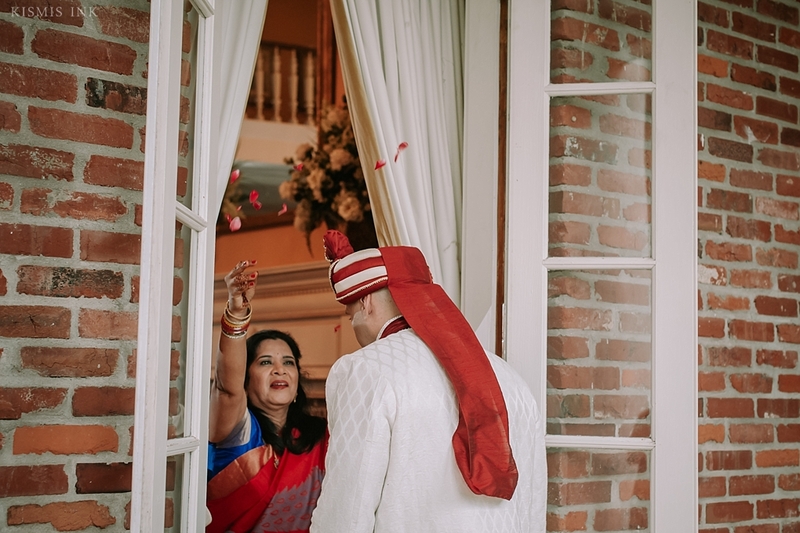 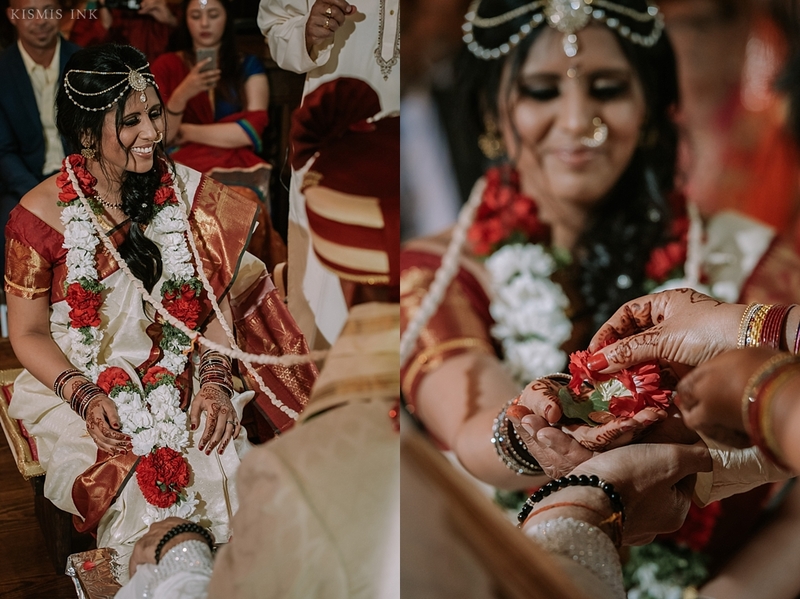 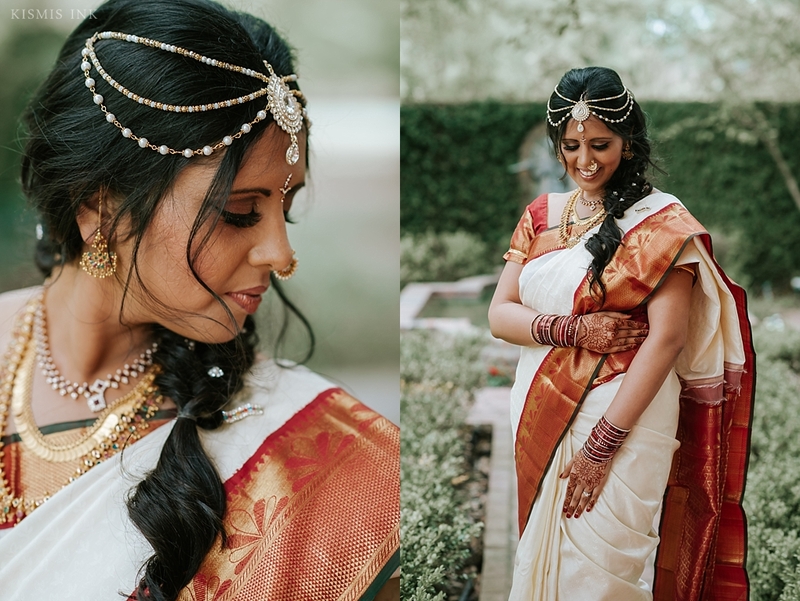 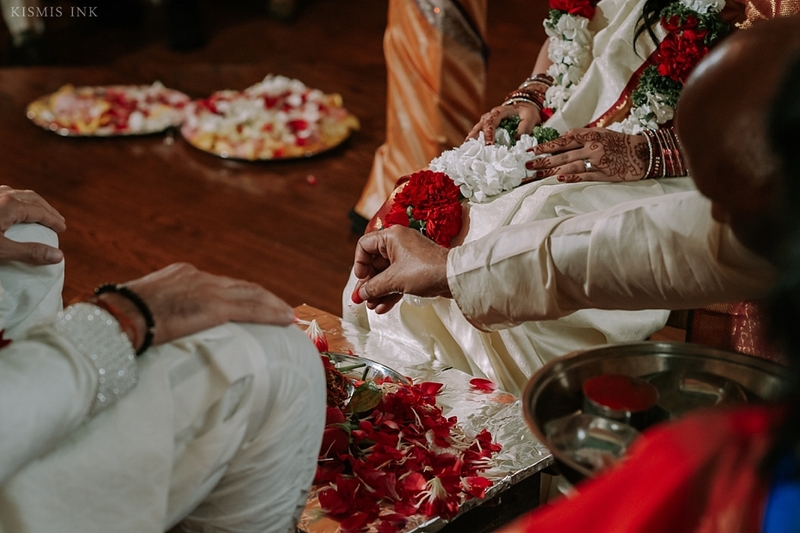 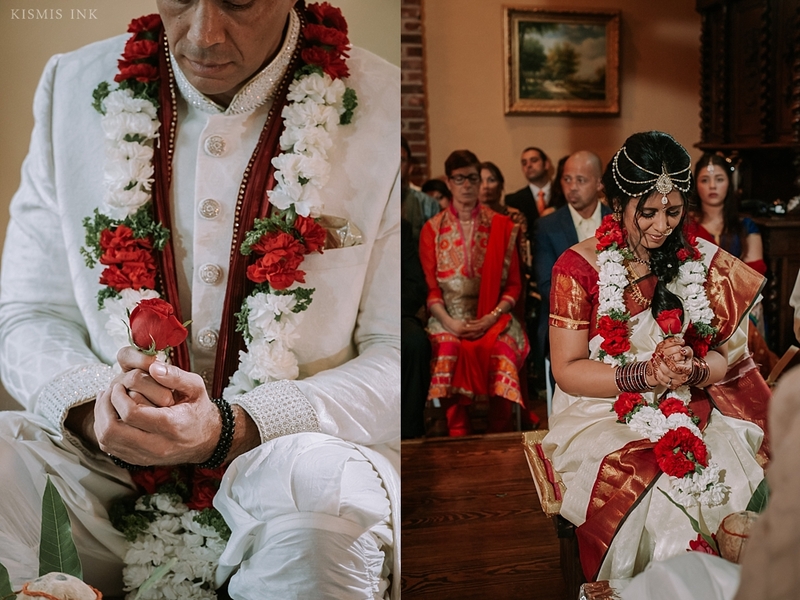 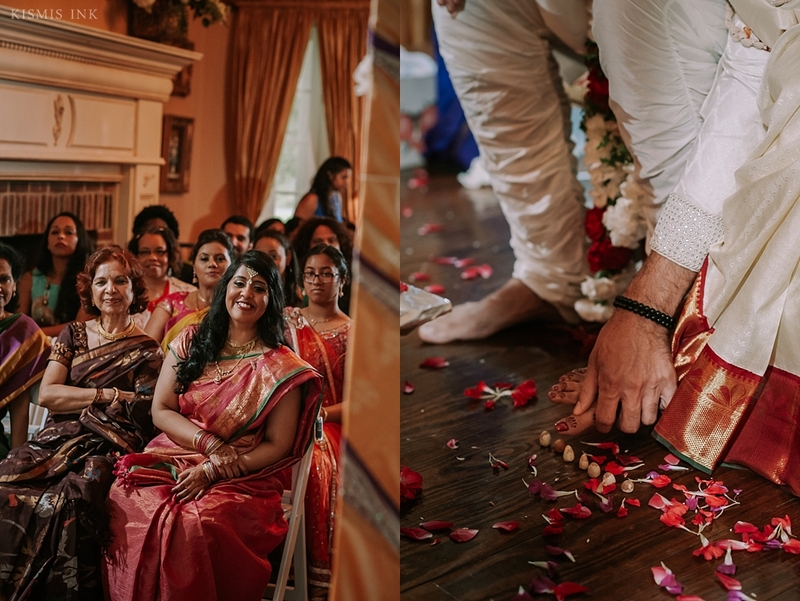 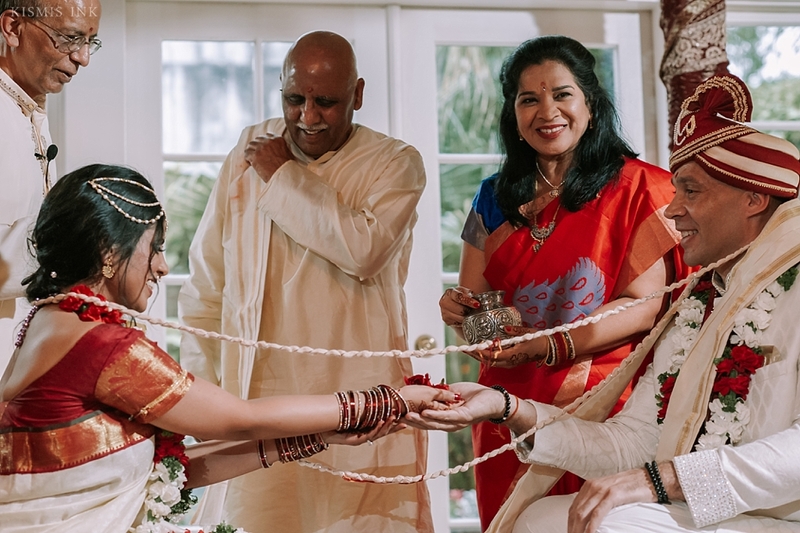 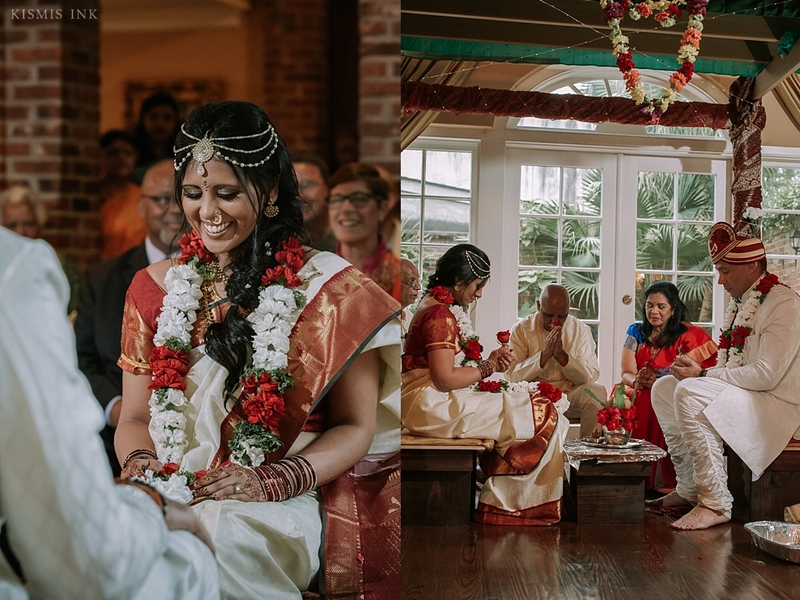 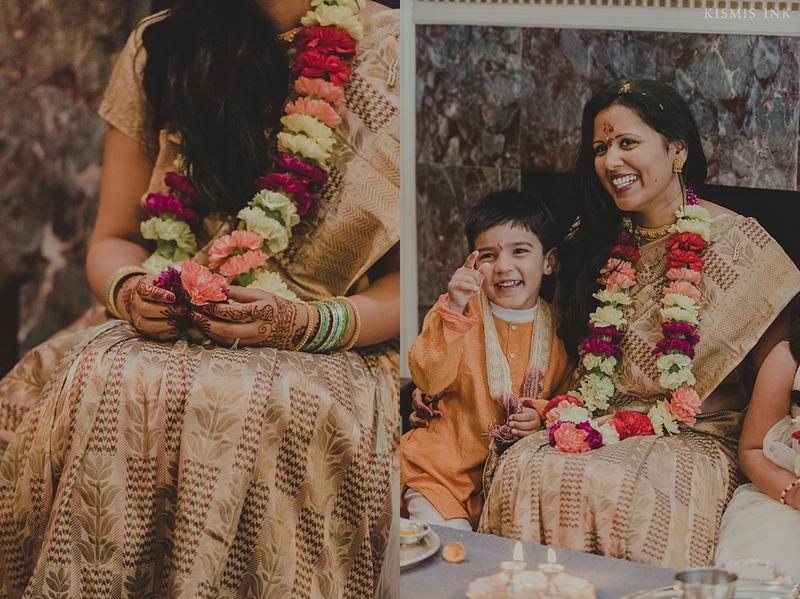 One of my favorite parts in the ceremony was during the flower showering, when Smitha playfully dumped the entire plate of flowers over Stevon’s head, much to the delight of the wedding party. 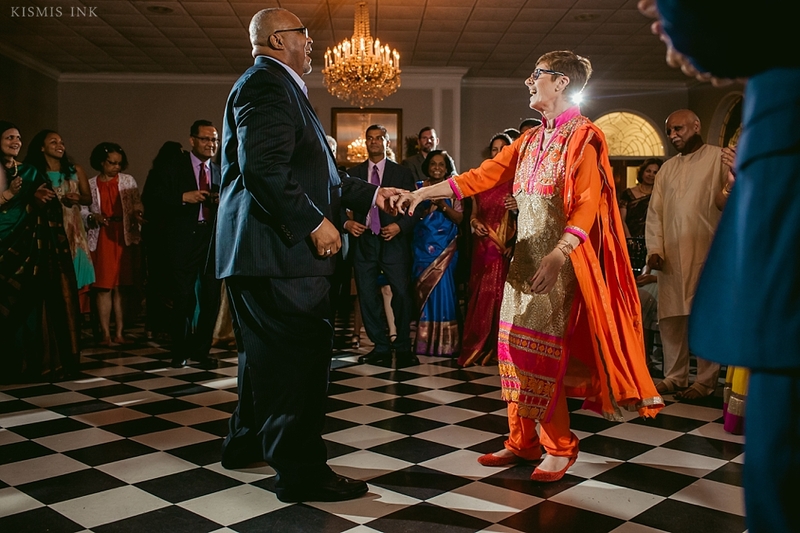 Their love for each other shined brighter than any detail, and they made their way to the reception in a wave of happiness. 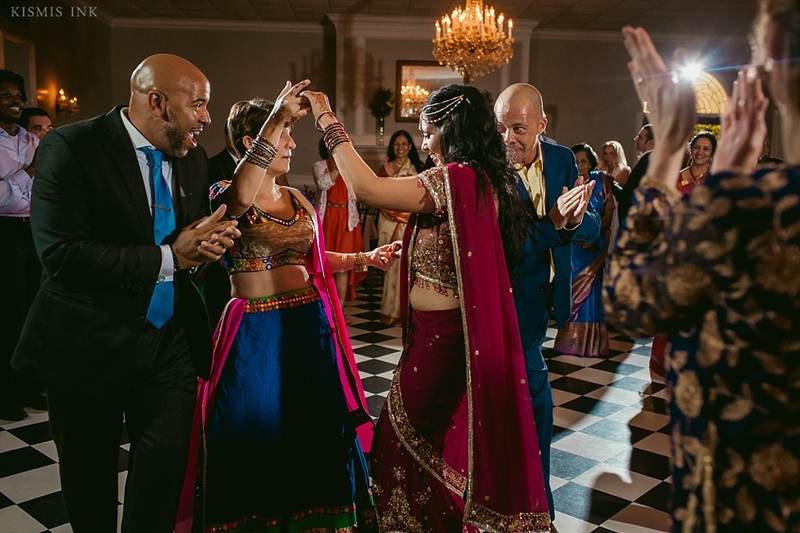 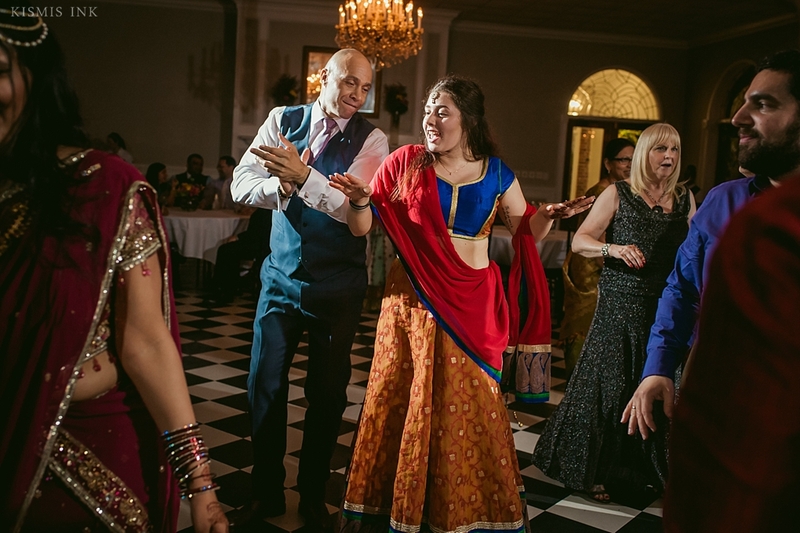 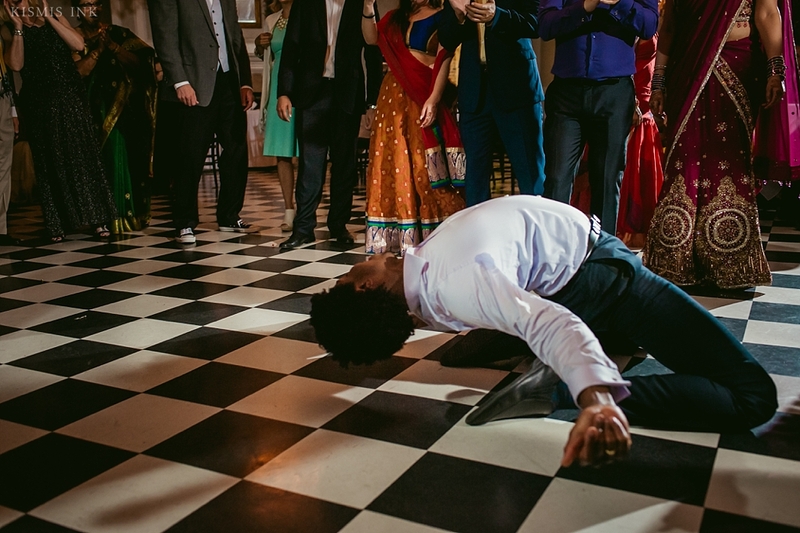 Everyone let loose on the dance floor, and it was a blast to capture everyone’s dance moves. 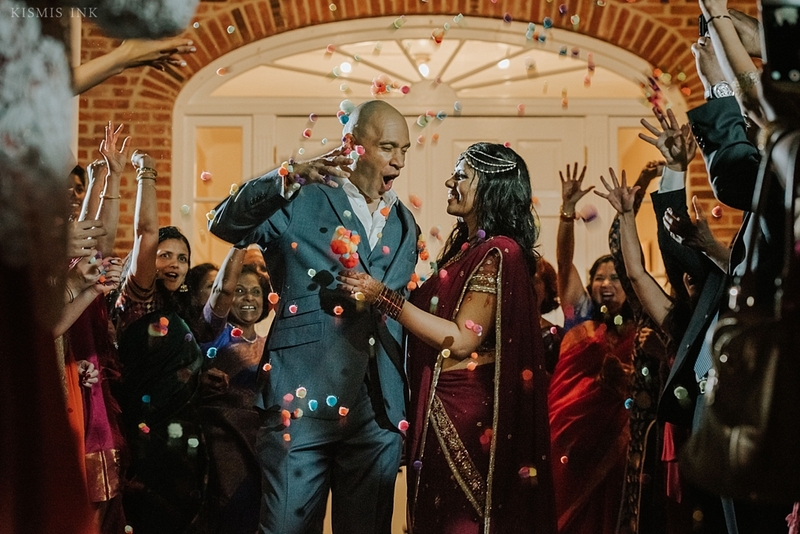 After the reception, guests threw colorful pom poms at the couple as they exited, making an incredible end of the night portrait. 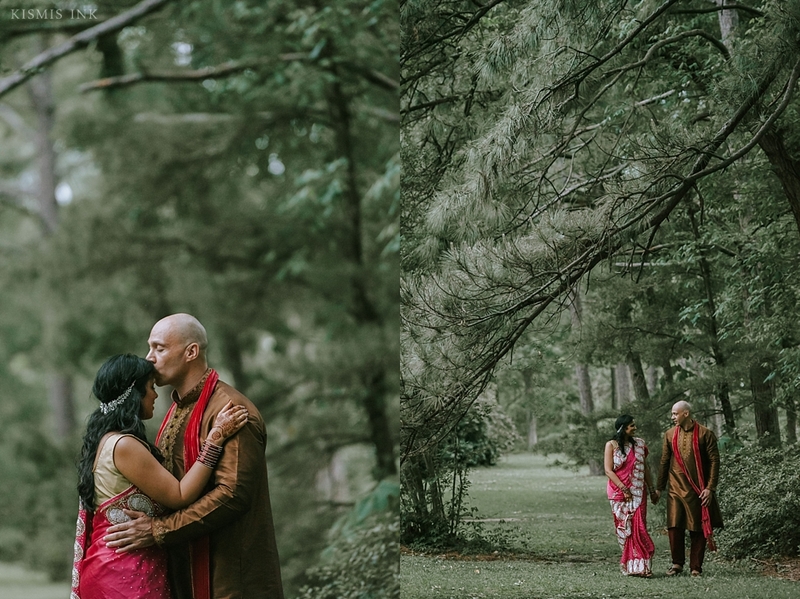 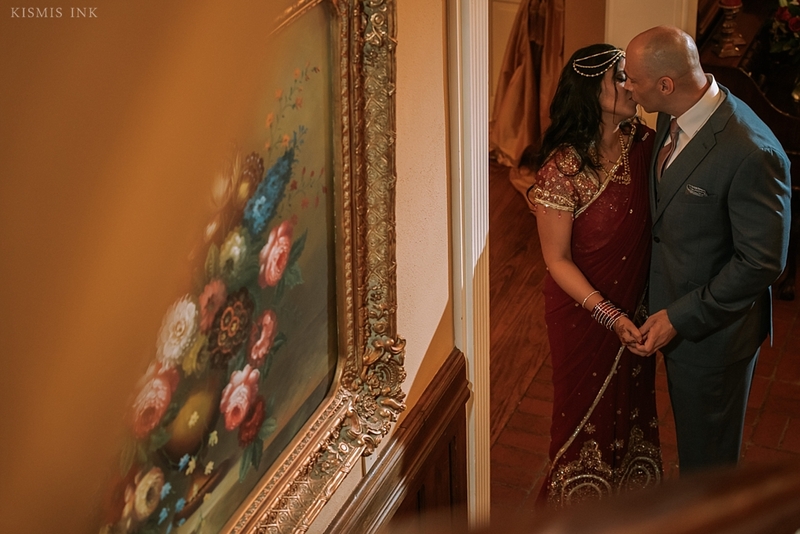 We are honored and so grateful to be a part of Smitha and Stevon’s love story, and we wish them many more precious moments and memories.